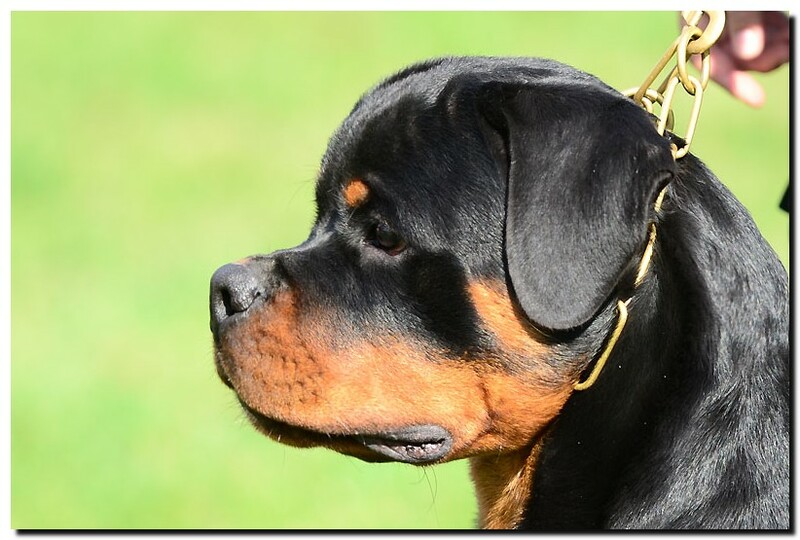 BIG CONGRATULATIONS TO OWNERS AND BREEDERS!!! 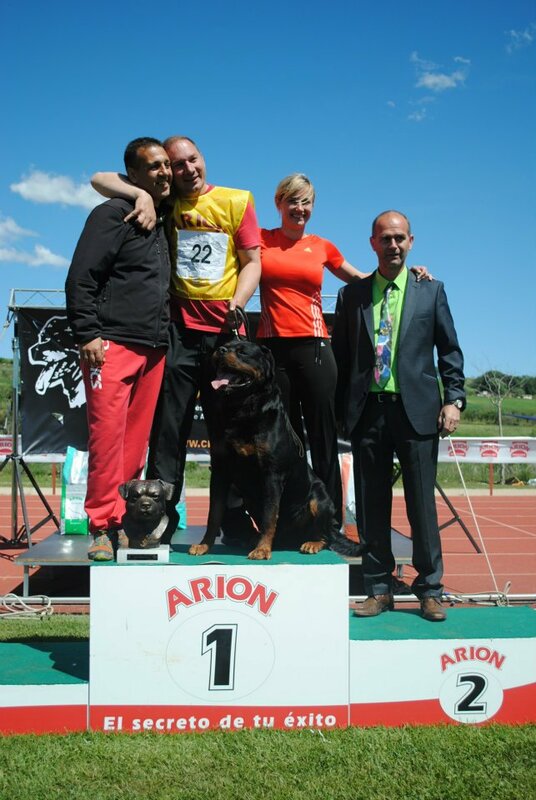 GREAT RESULTS OF ASTOR'S KIDS!!! 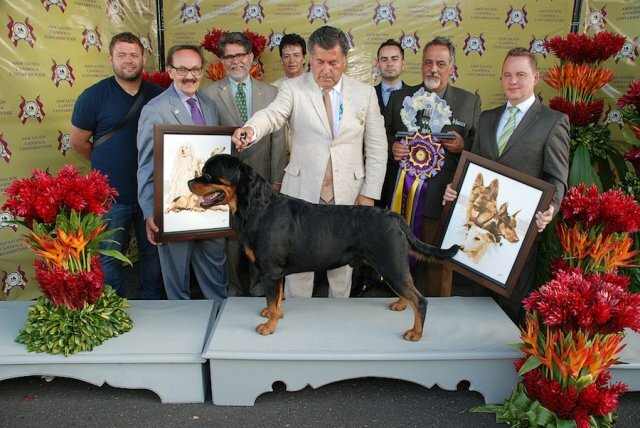 Congratulations to owners and breeders! 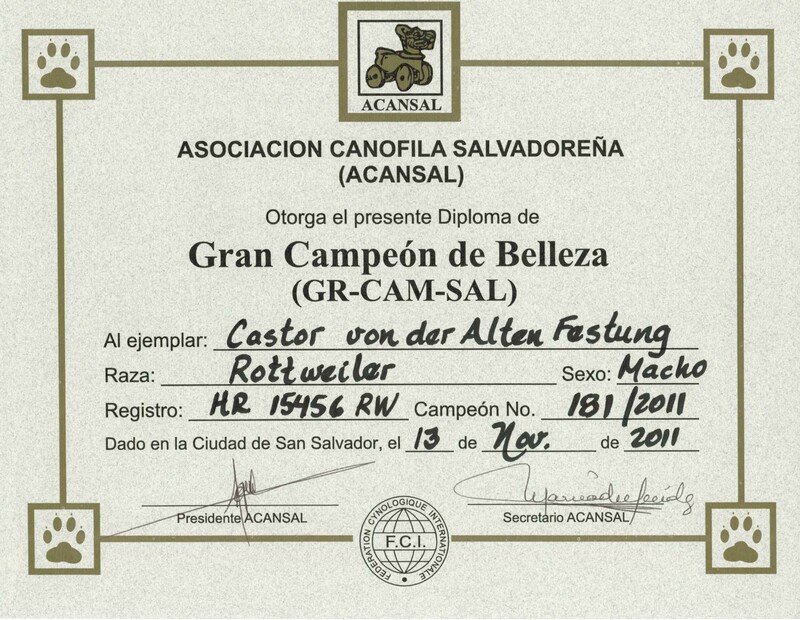 THE IFR YOUNG WORLD CHAMPION TITLE!!! 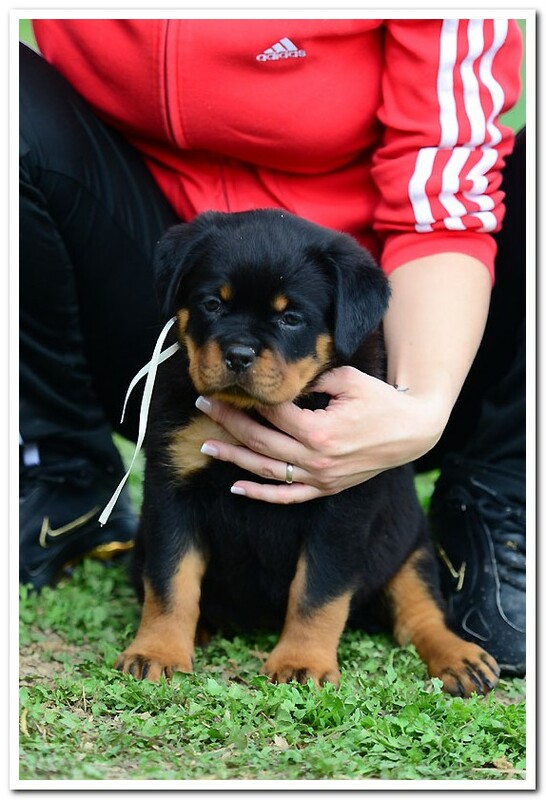 for beautiful photos and video clips! 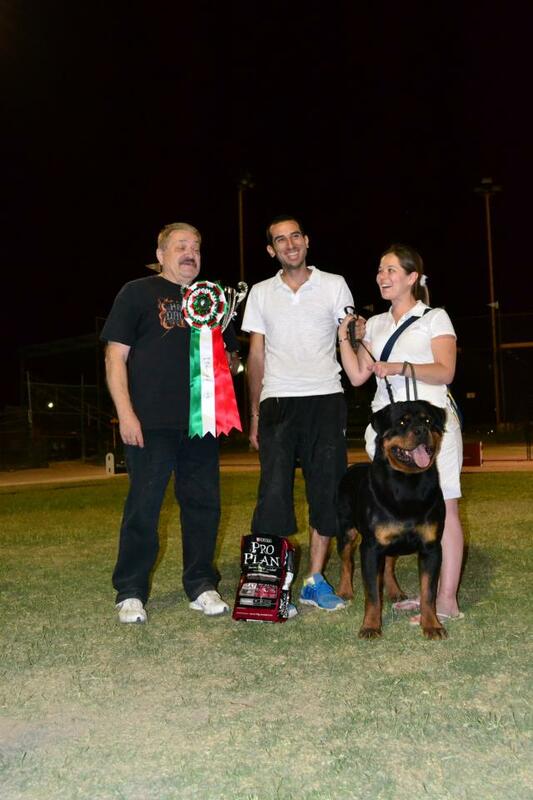 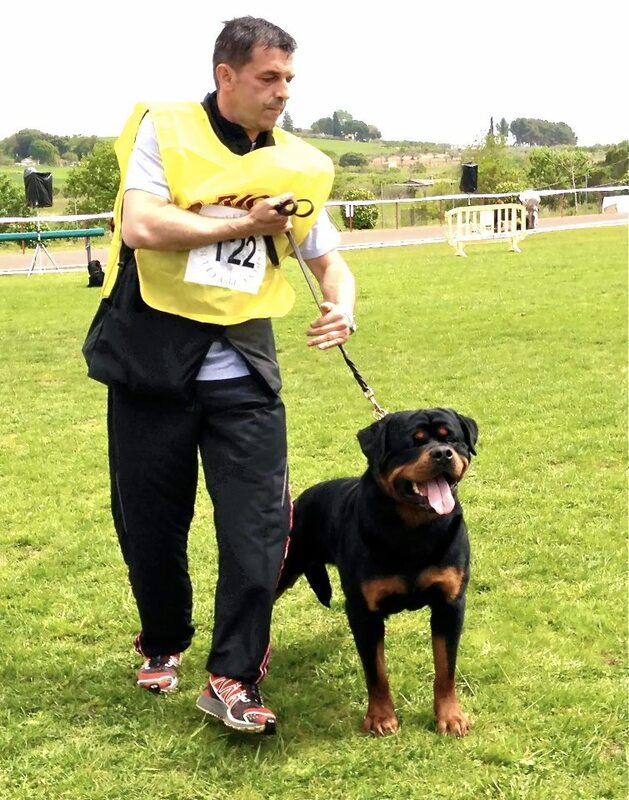 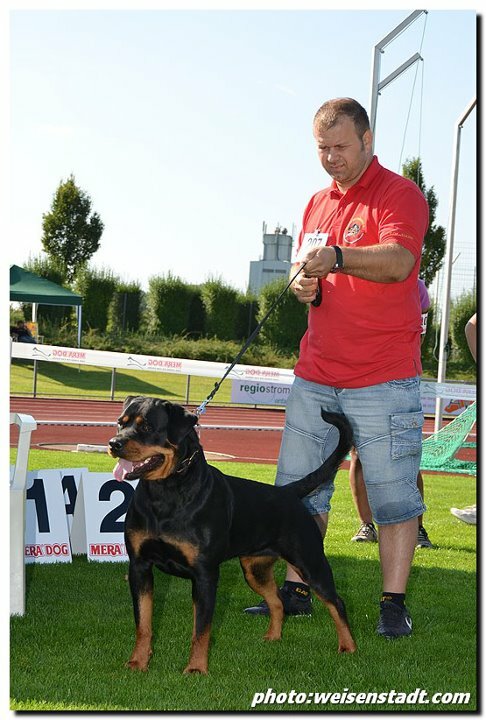 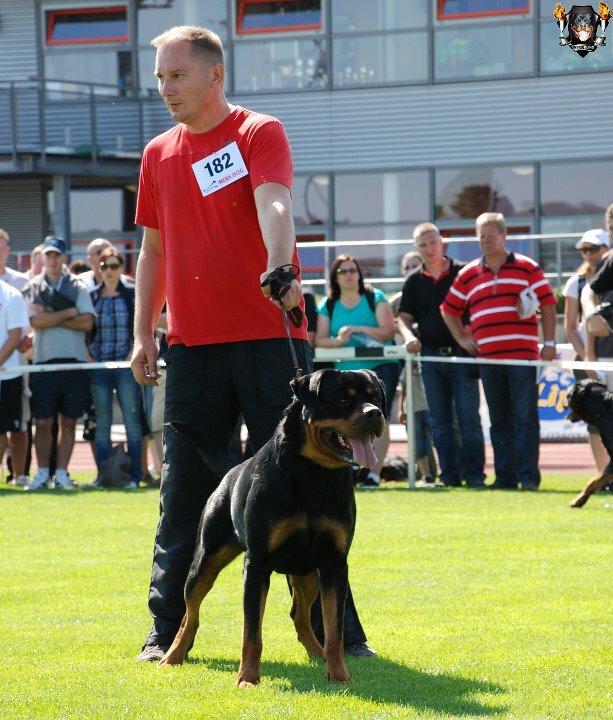 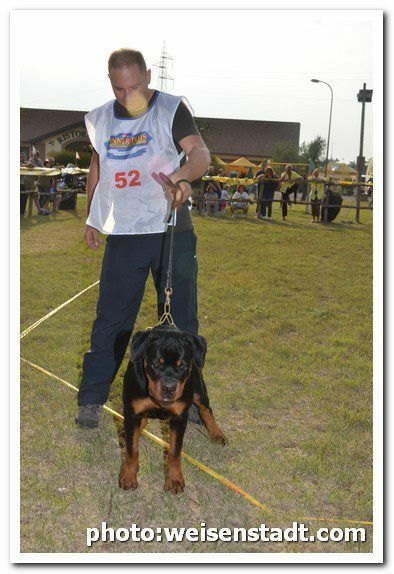 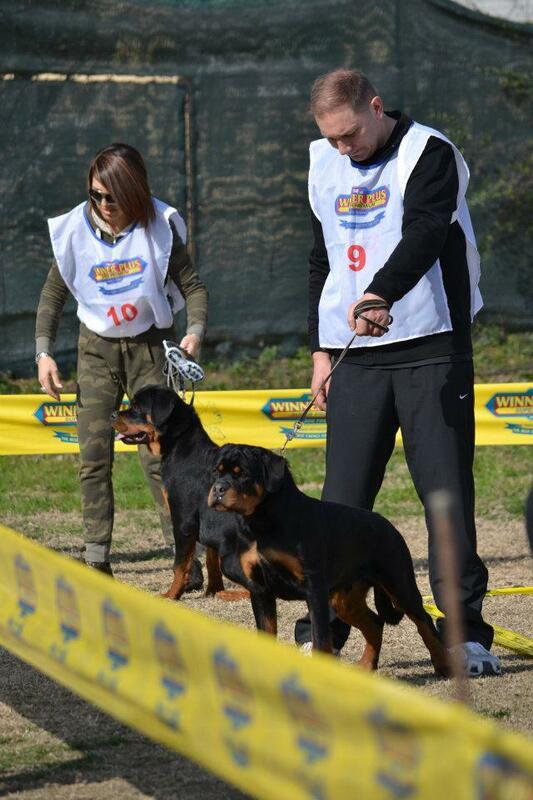 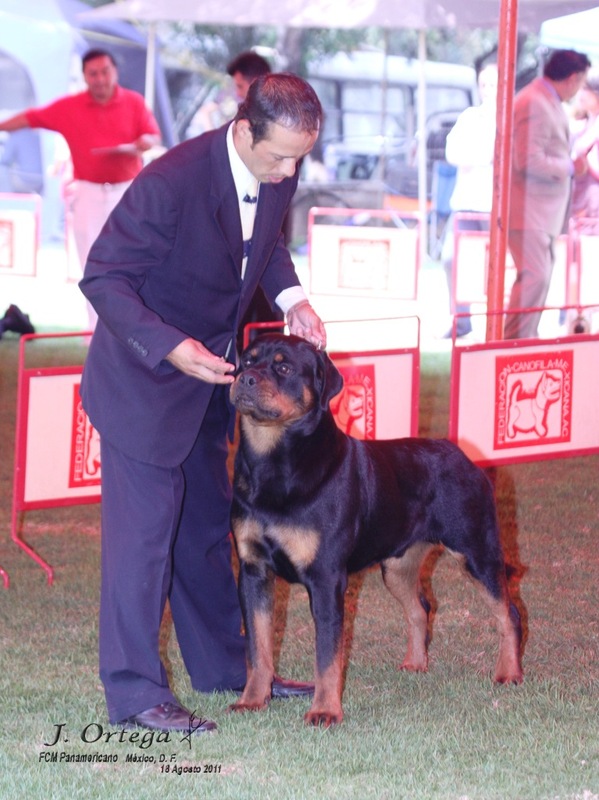 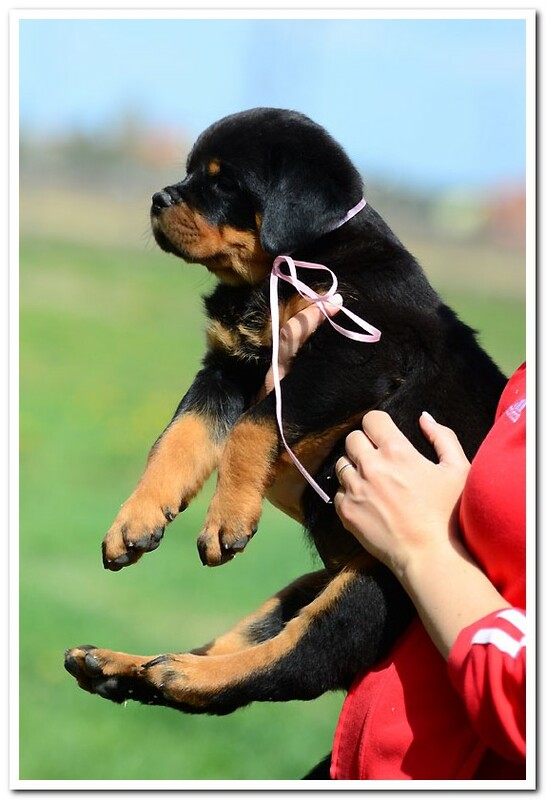 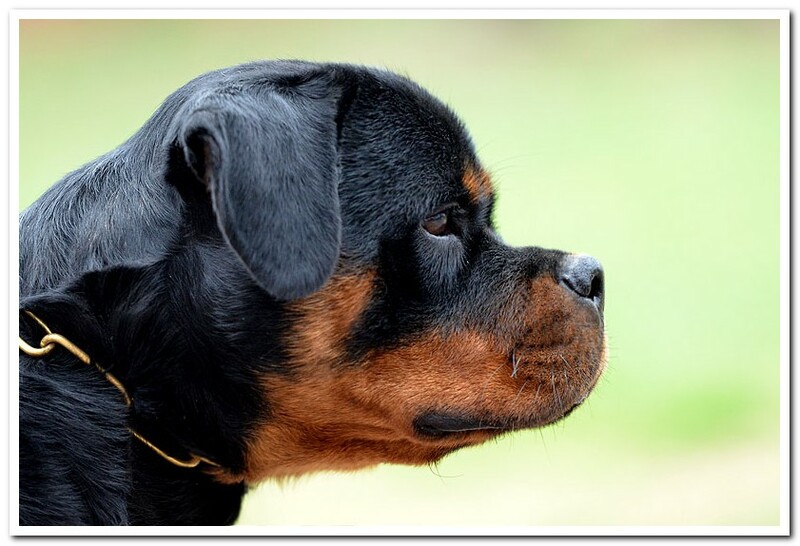 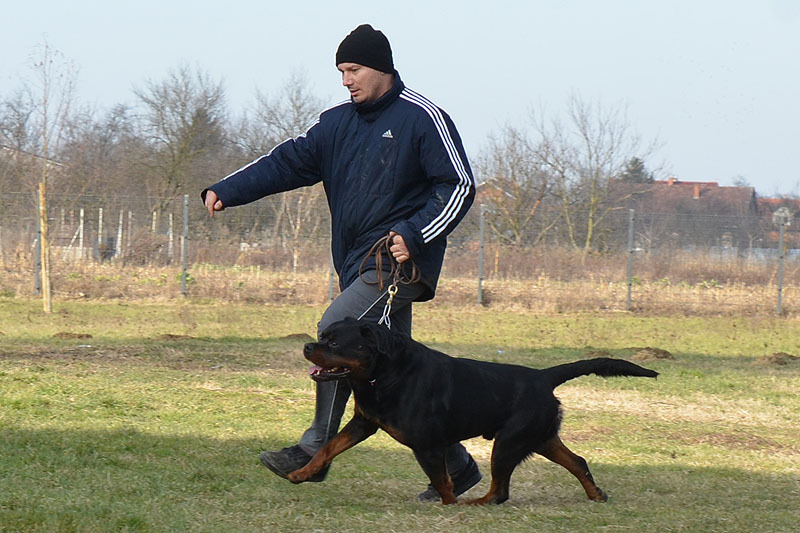 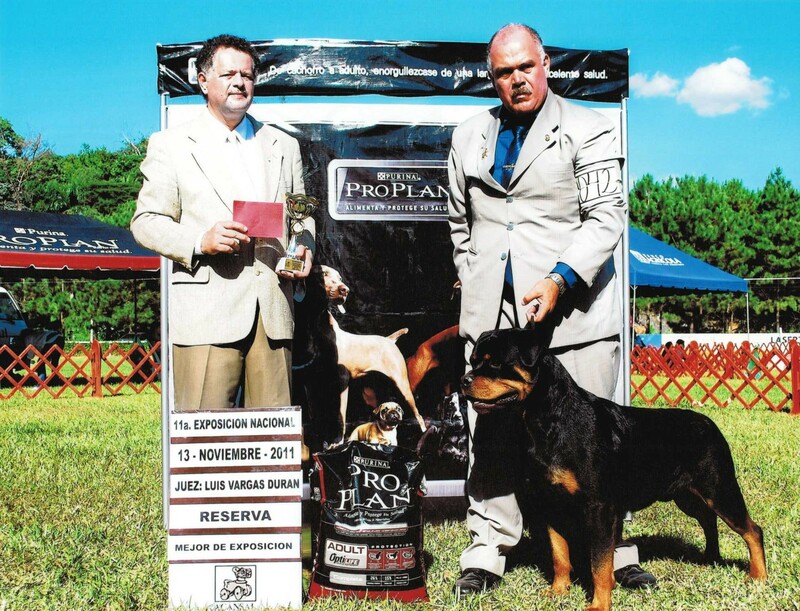 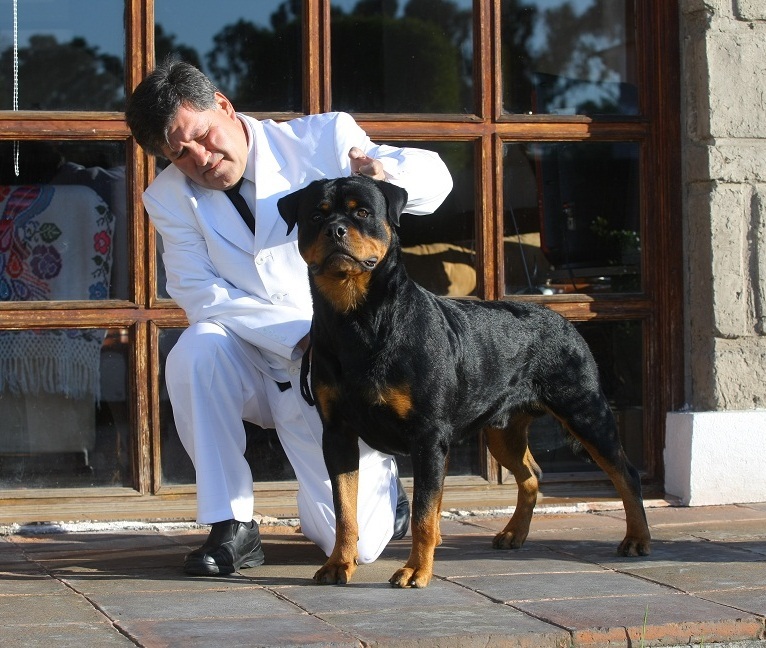 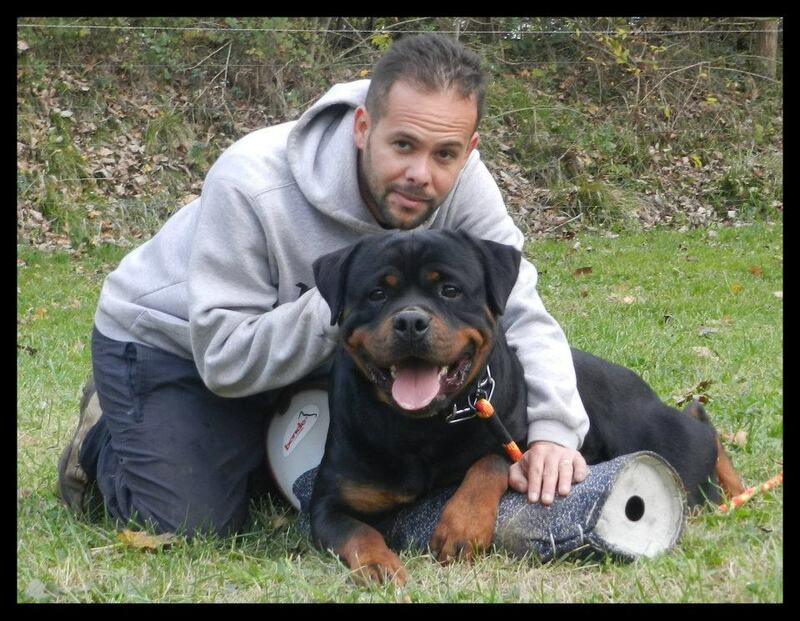 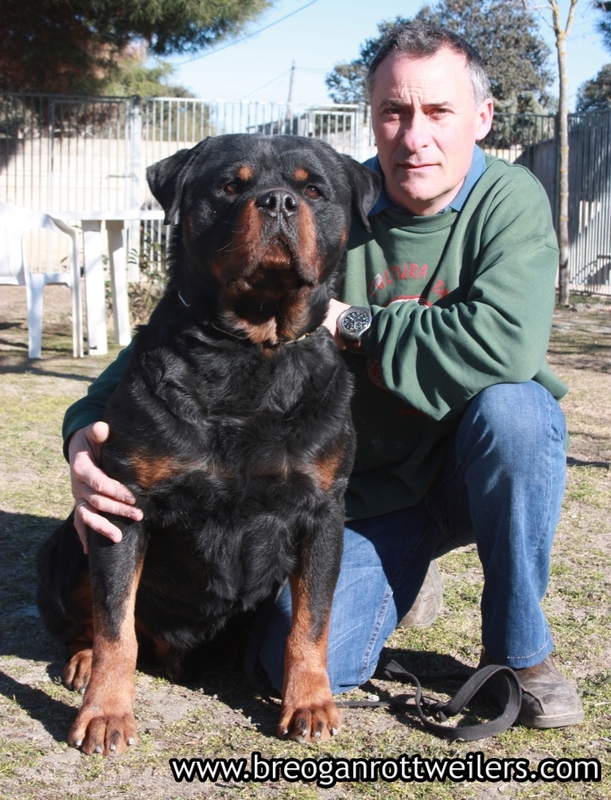 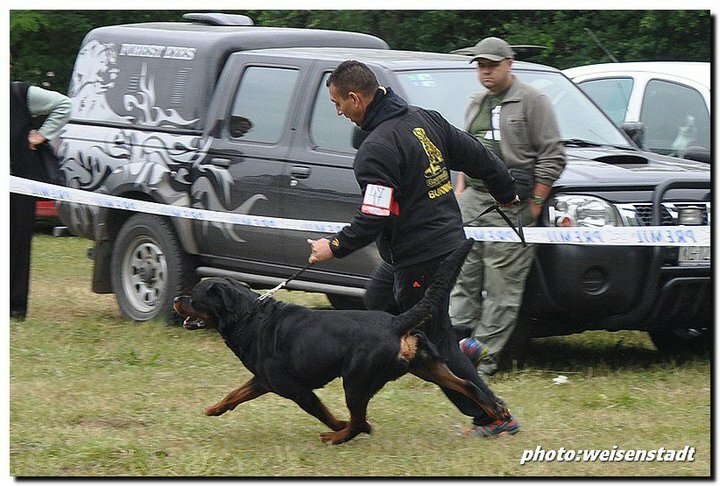 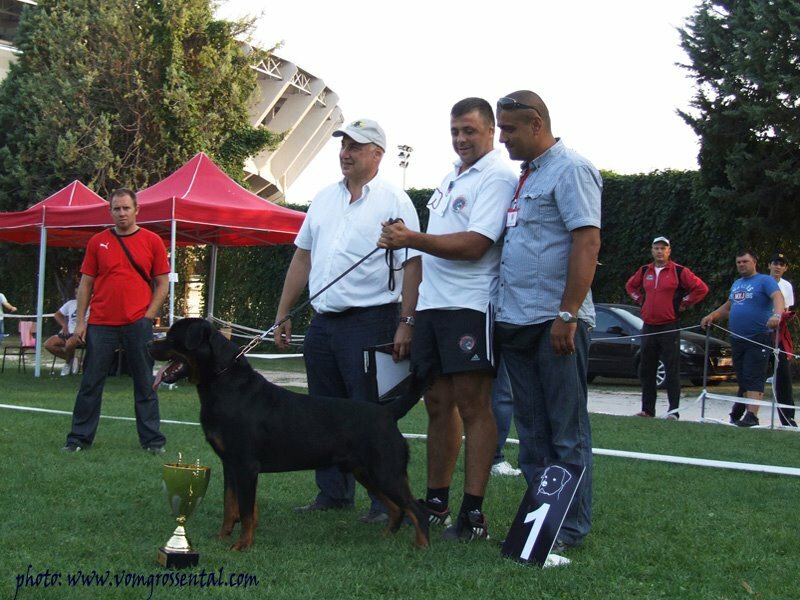 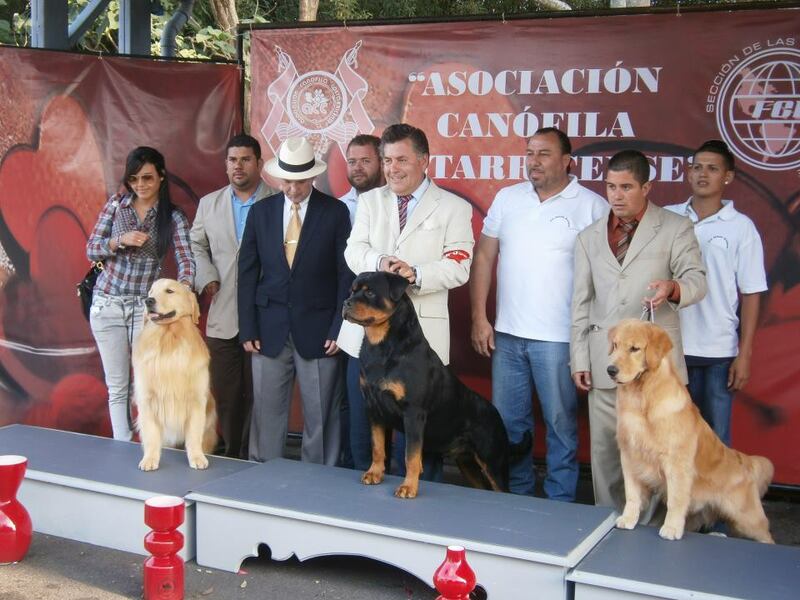 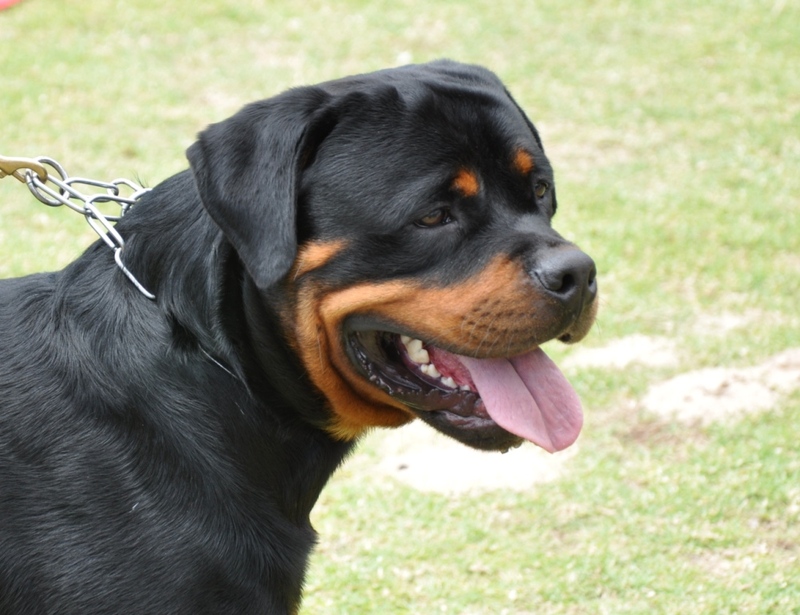 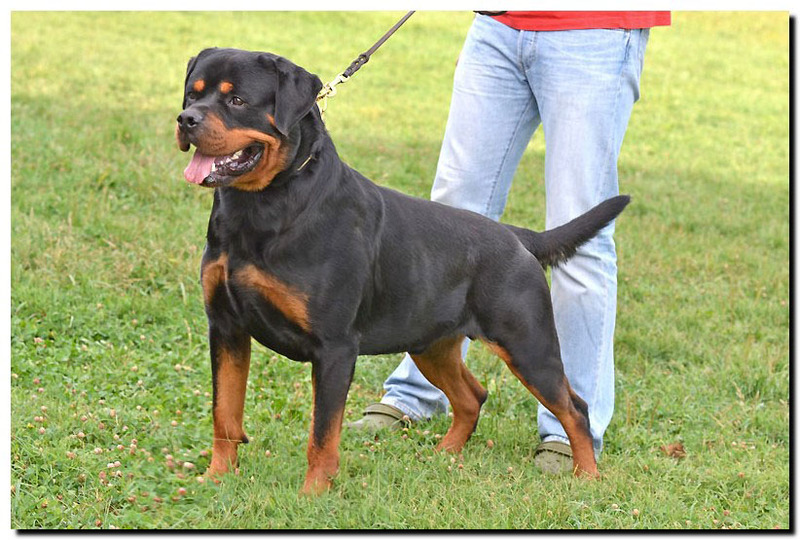 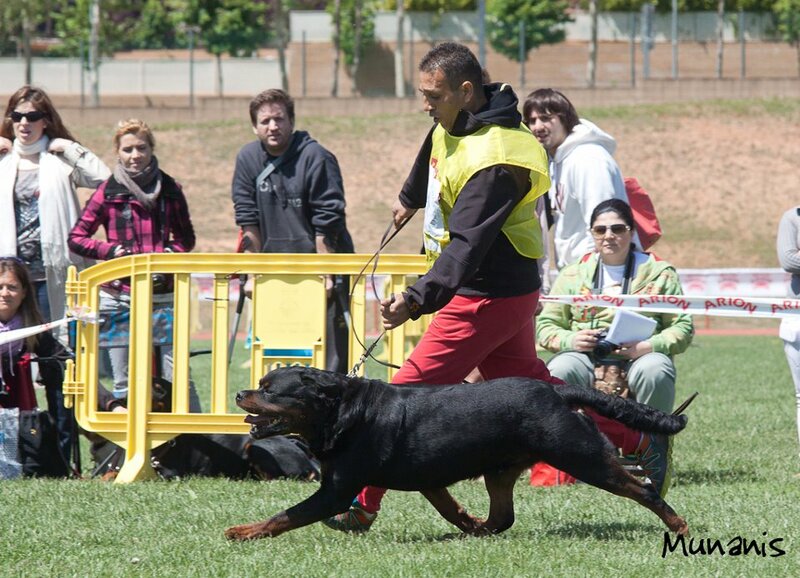 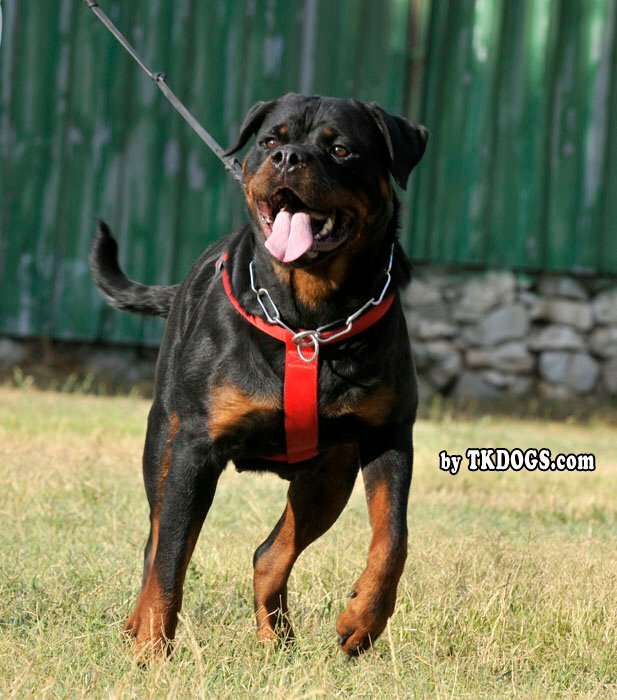 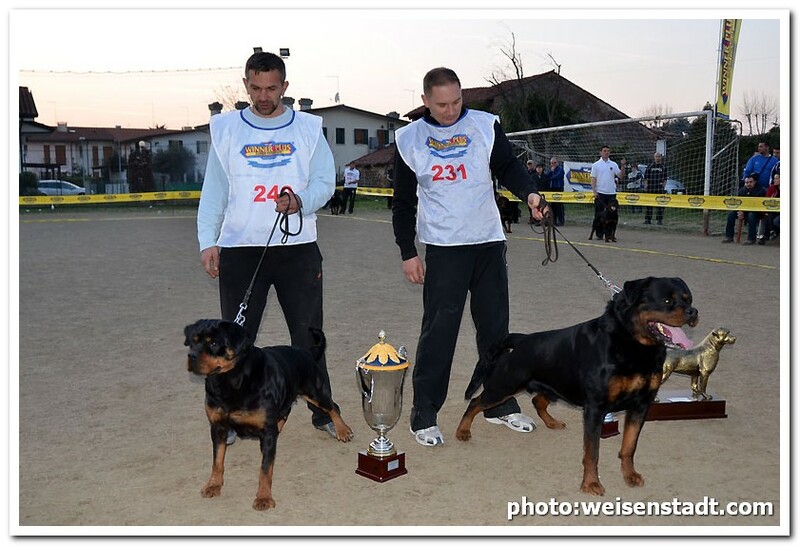 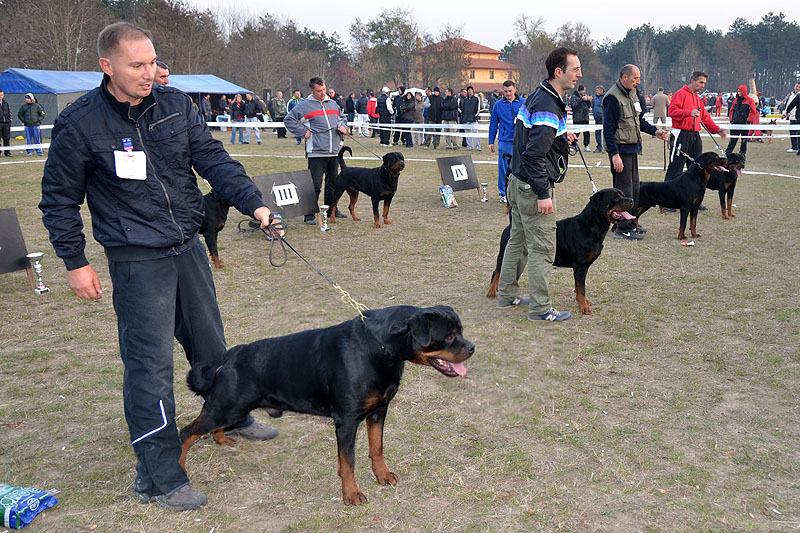 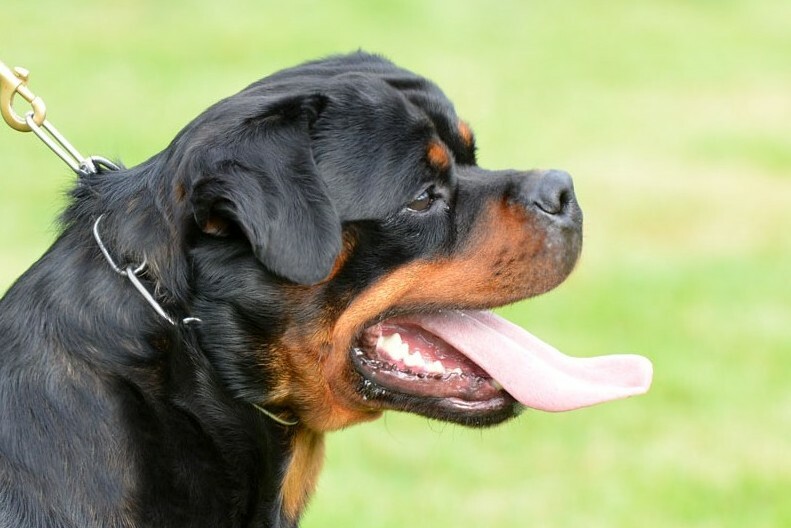 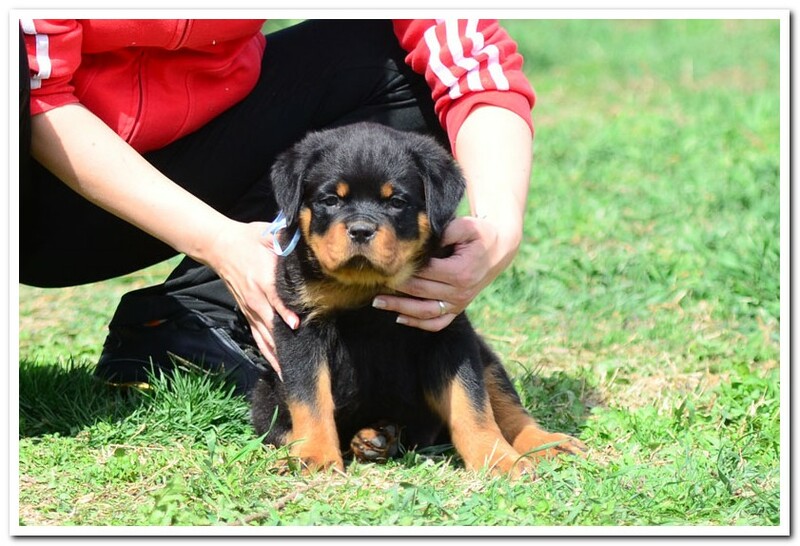 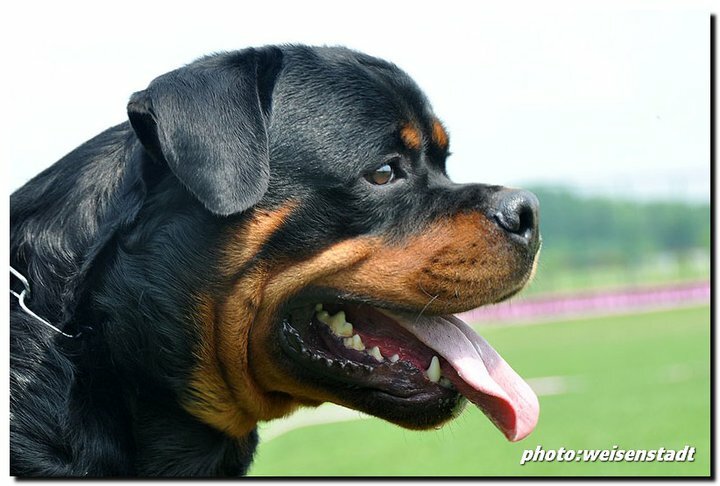 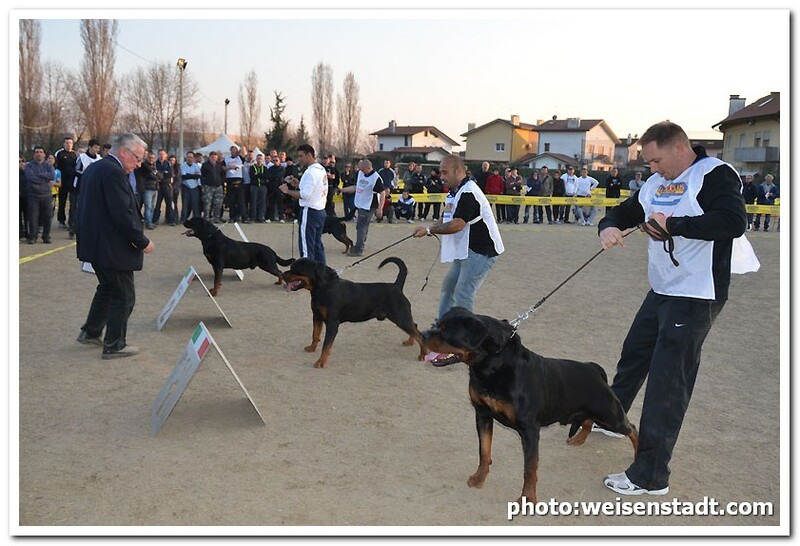 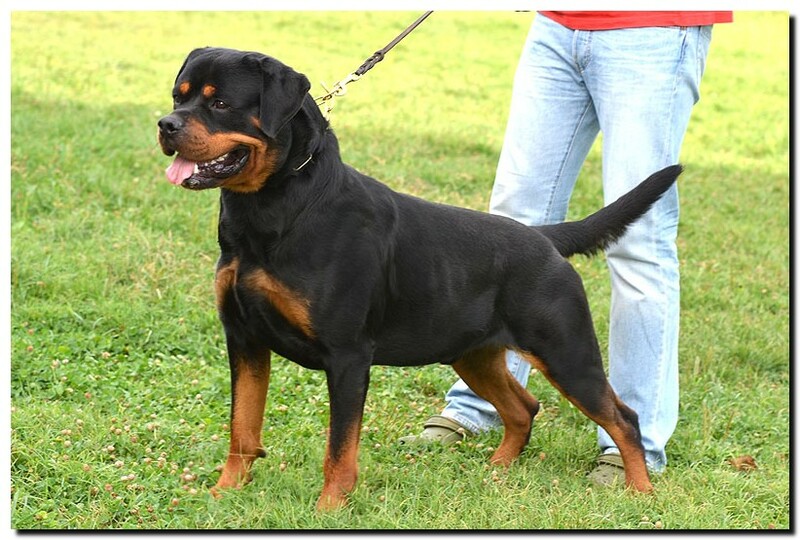 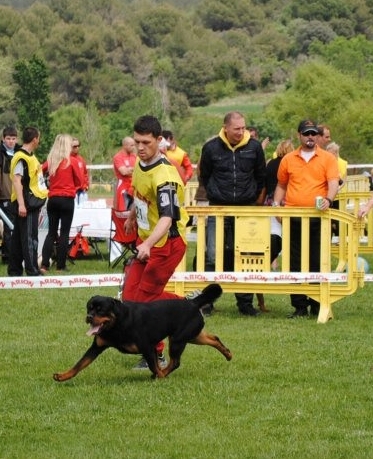 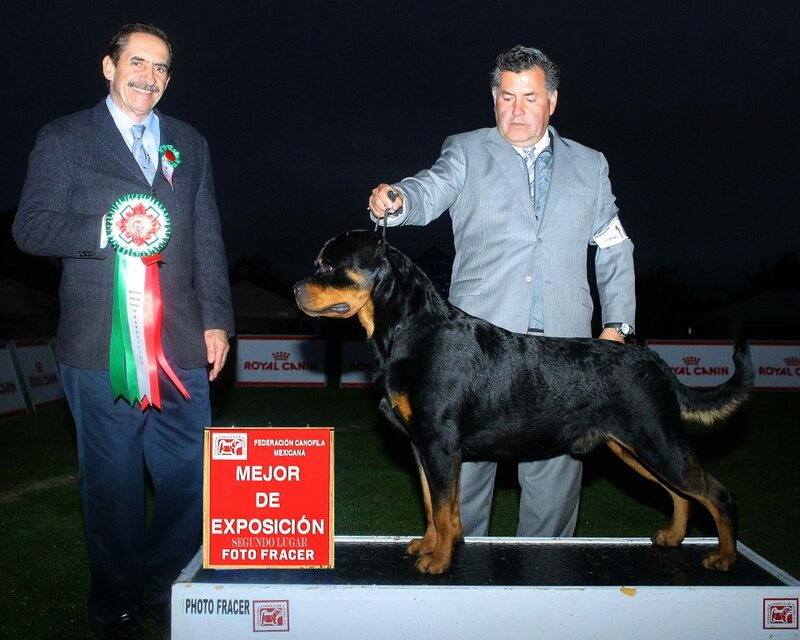 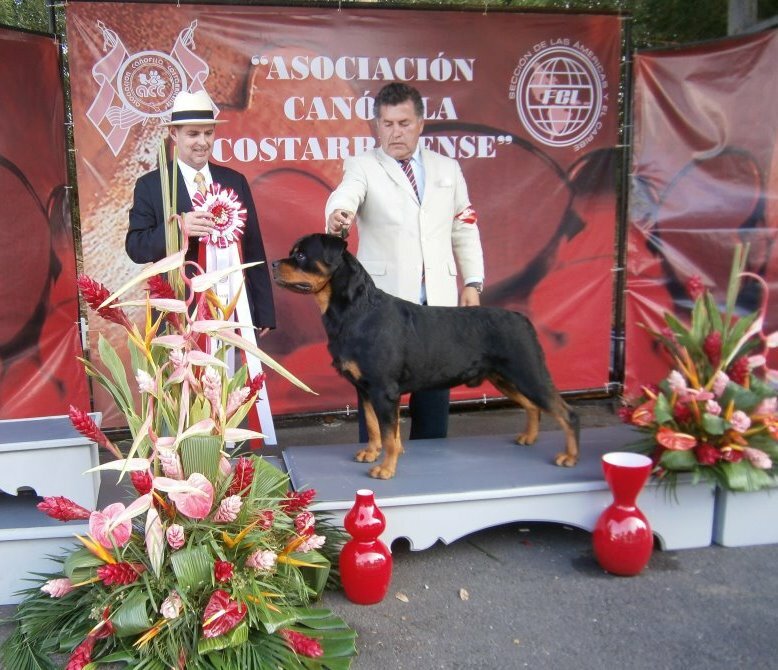 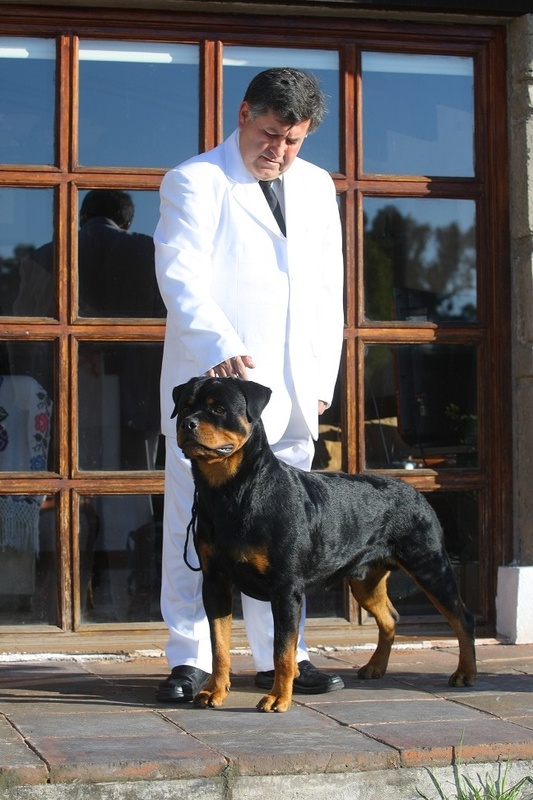 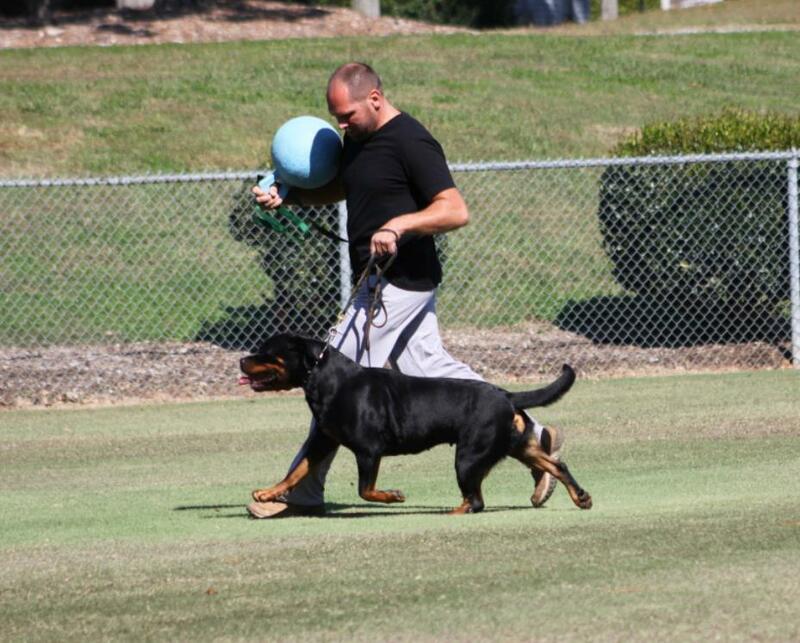 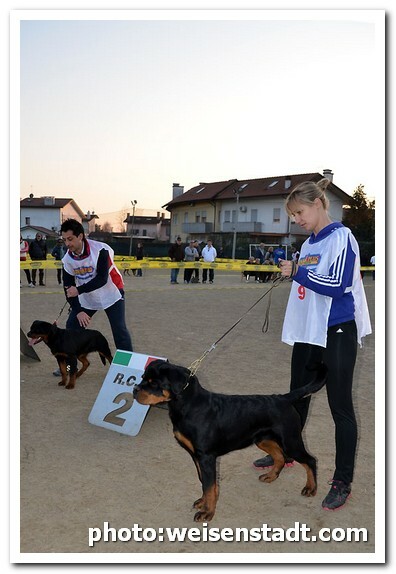 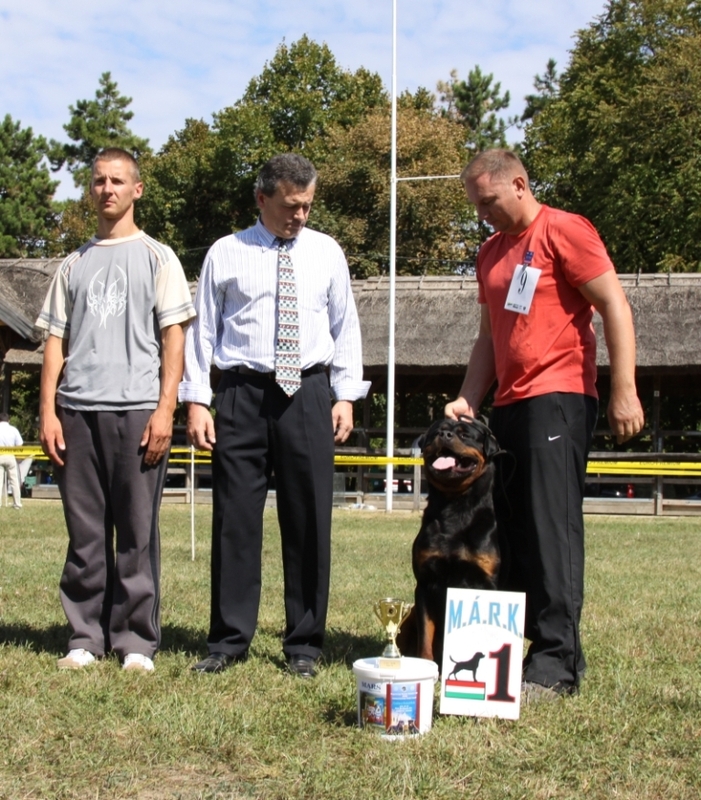 Congratulations to our friend Daniel (Dassa Rottweilers)! 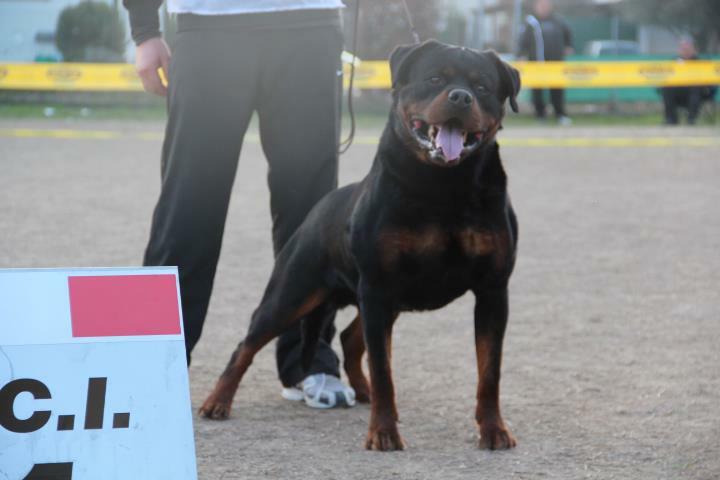 GRIMM IS NOW J. 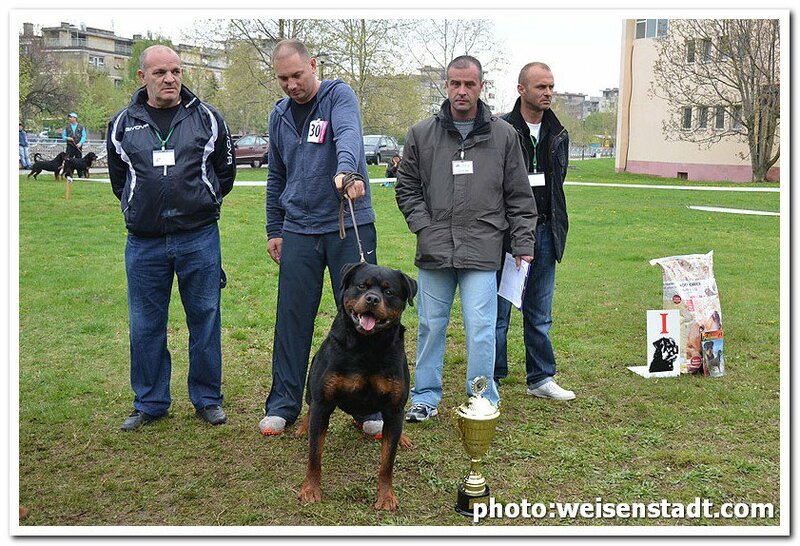 CHAMPION OF RUMANIA ! 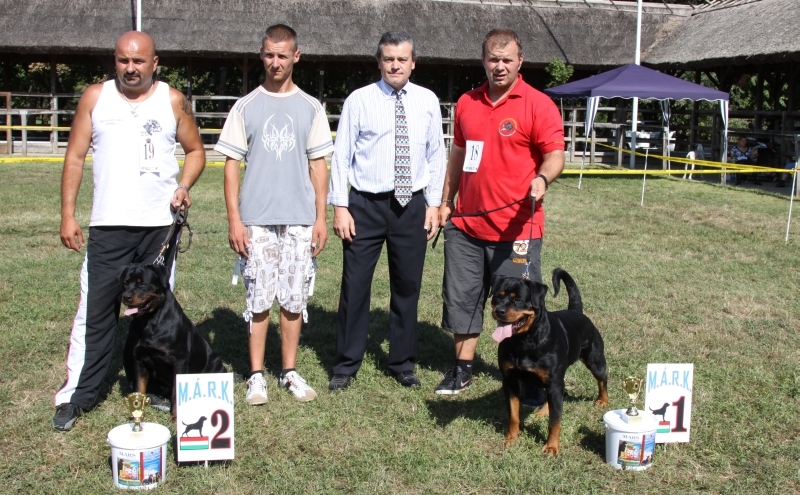 ALEXIX IS NOW CHAMPION OF RUMANIA ! 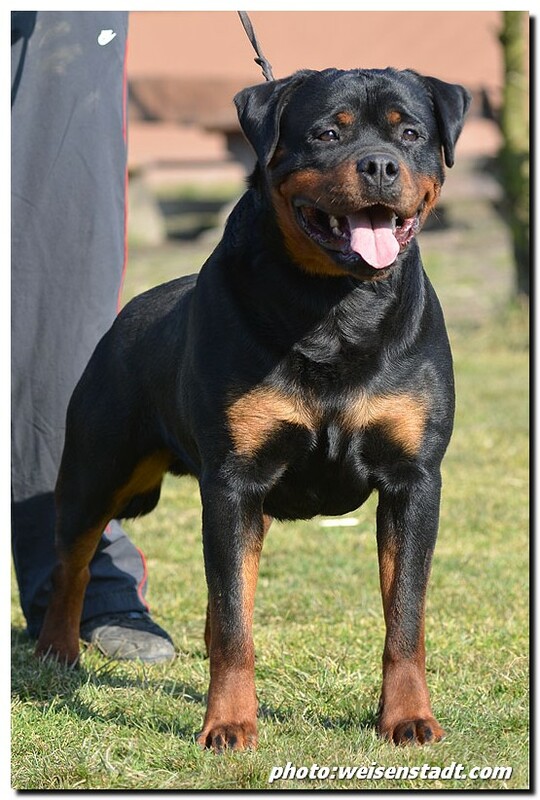 NEW IMPORT FEMALE IN OUR KENNEL! 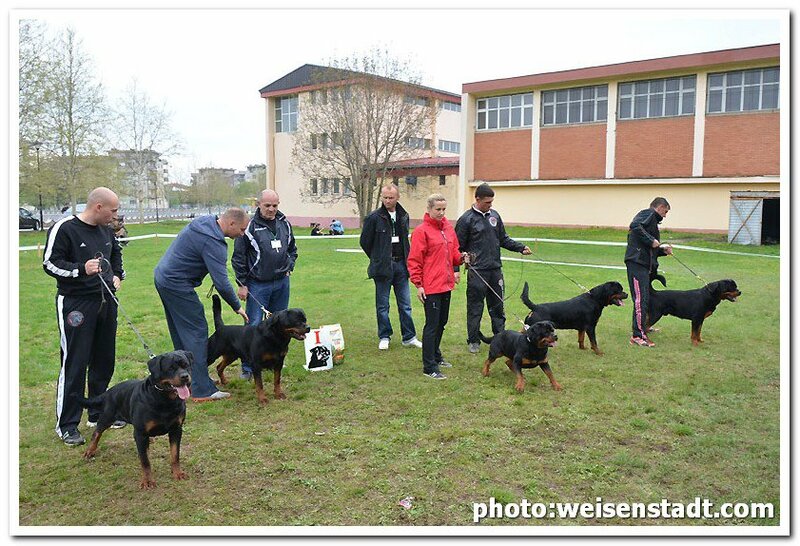 the open females class were Astor's daughters! 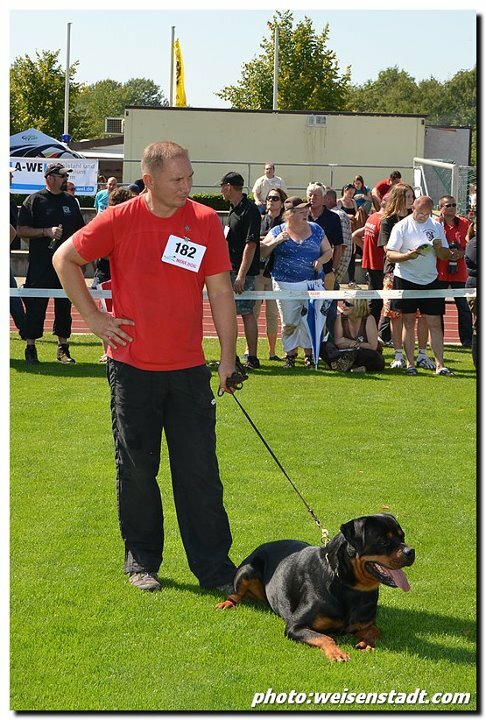 Congratulations to our friend Laurent (vom Hause Freyland)! 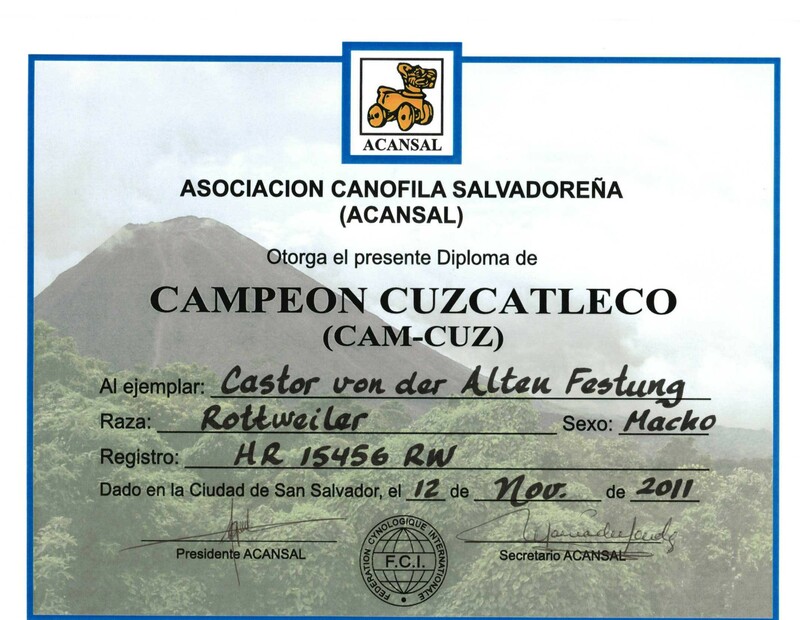 Congratulations to our friend Daniel Baez! 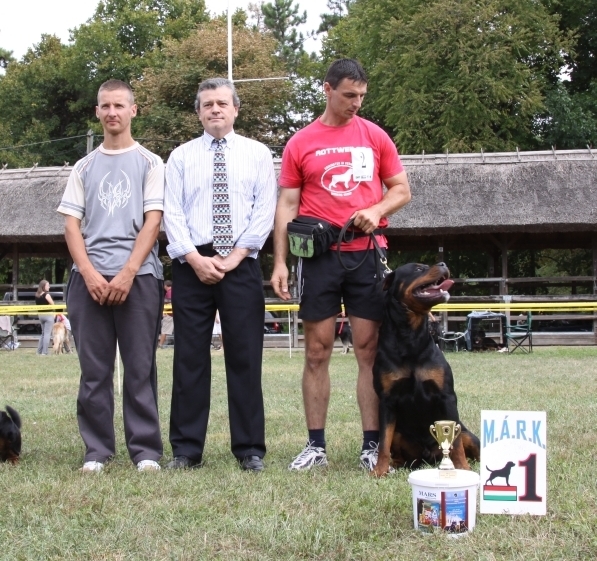 GRIMM IS NOW YOUNG CHAMPION OF HUNGARY! 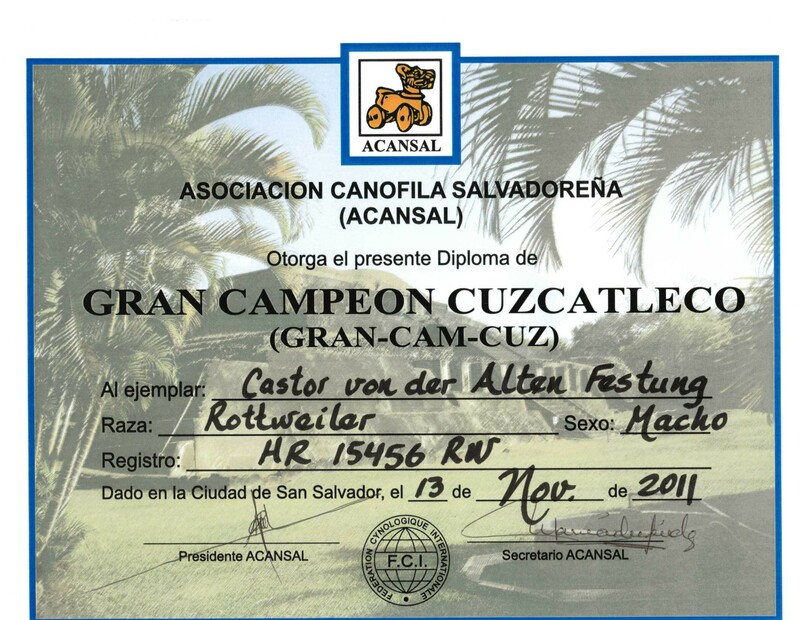 Club Canofilo de Los Angeles A.C.
Congratulations to our friend Laurent (von Hause Freyland) ! 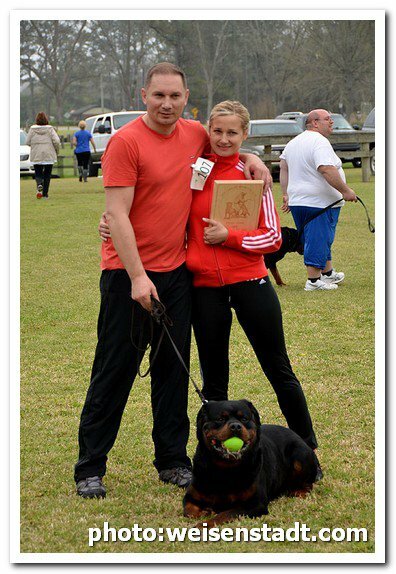 Congratulations to our friend Mickaela Mazet! 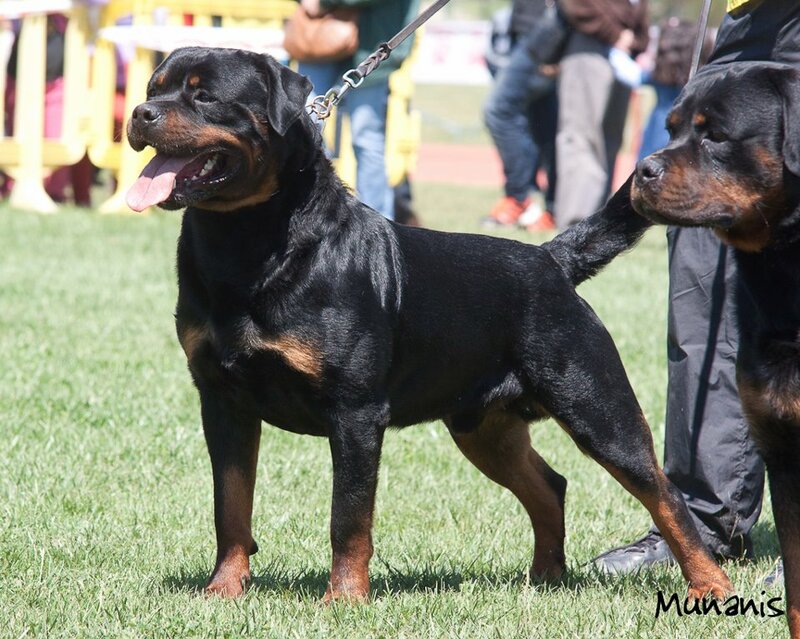 Thanks to our friend Eduardo for beautiful photo of Santo! 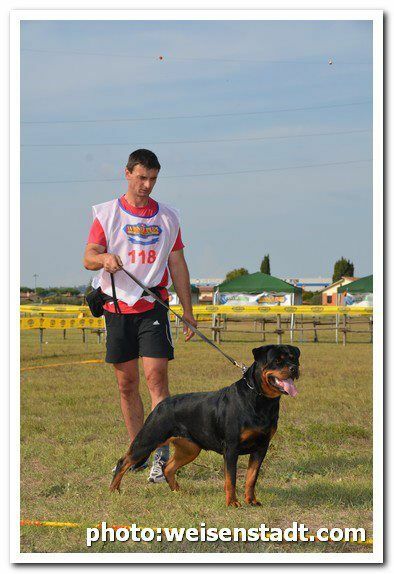 Congratulations to our friend Denis for great results! 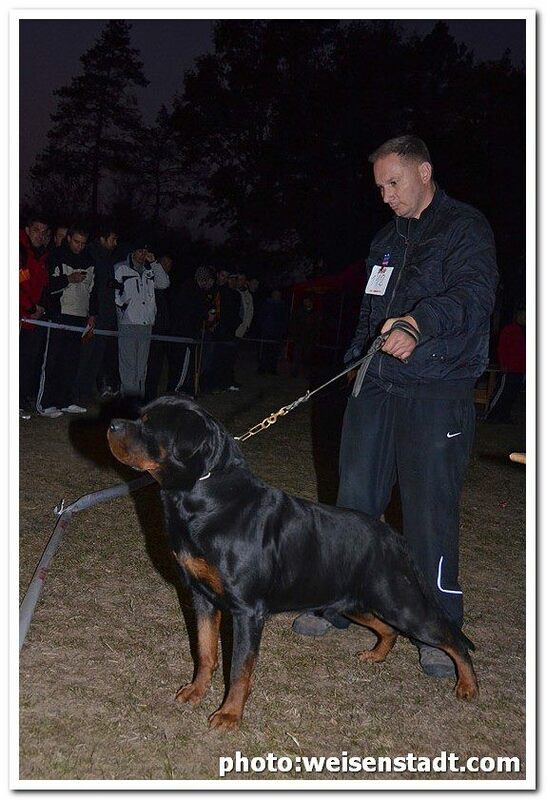 EX IS NOW CHAMPION OF INDIA! 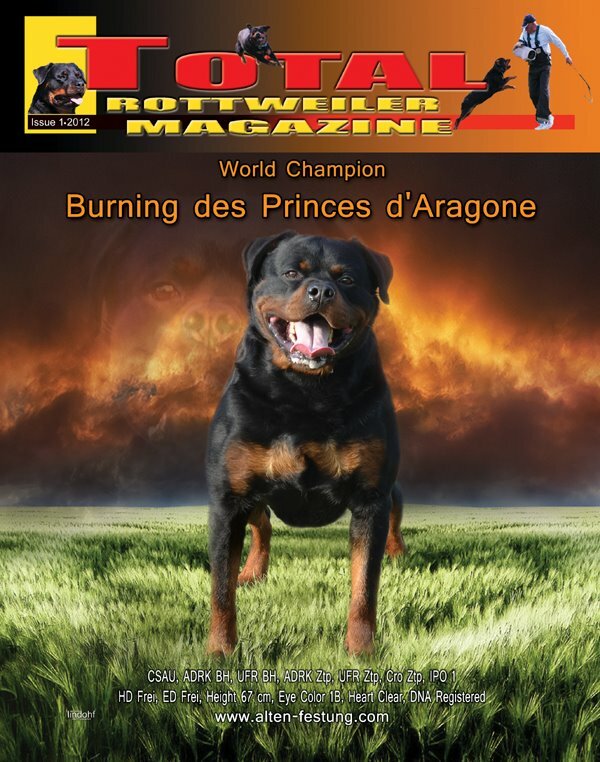 Burning on the cover of the TTRM! 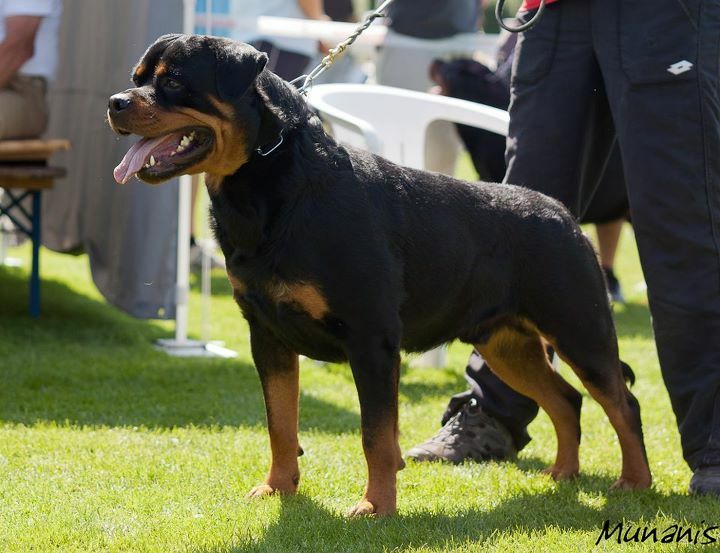 Thanks to Mickaela for beautiful photos! 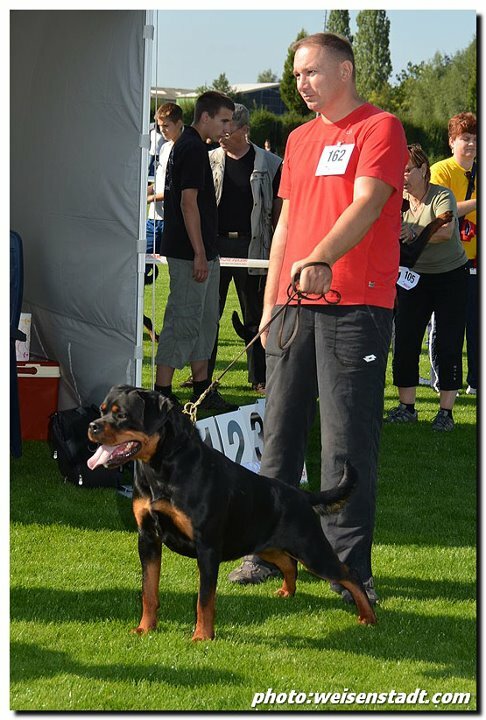 Thanks to Joshi for nice video clip! 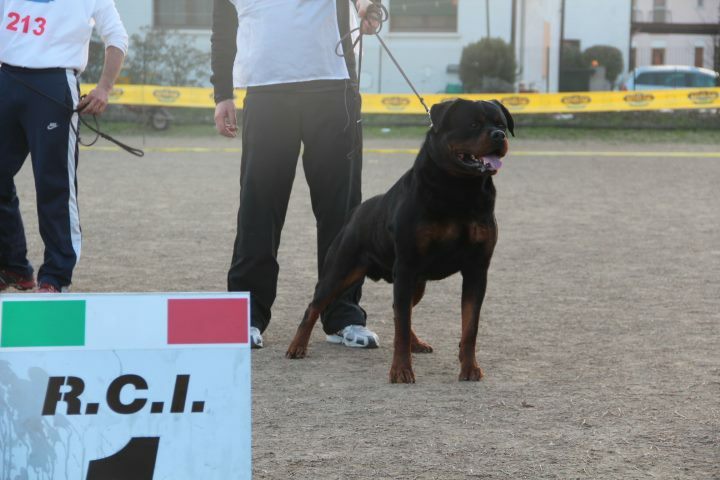 V1 in the open class were Astor's sons! 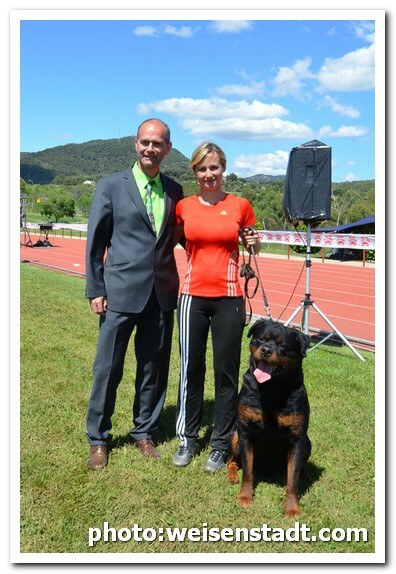 Congratulations to our friend Laurent for great results! 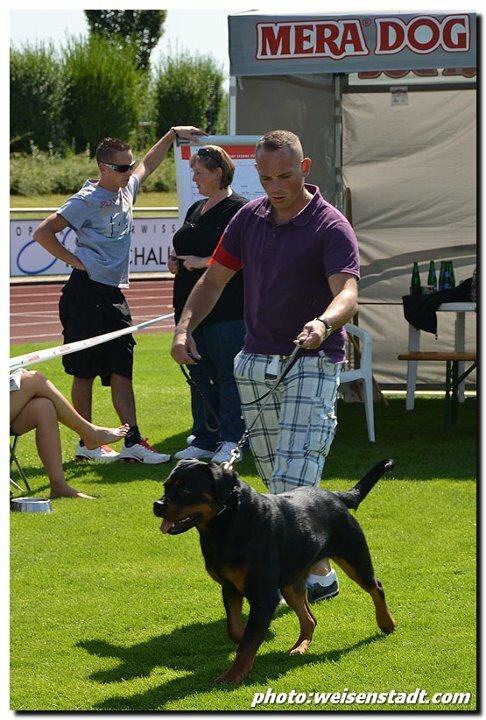 Thanks to Aksana for beautiful photos! 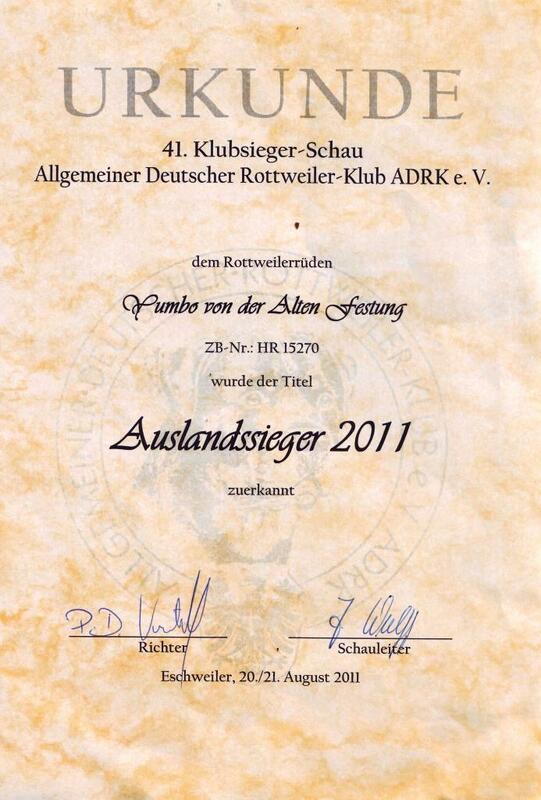 and Woody (Haus der Sterne) for great results! 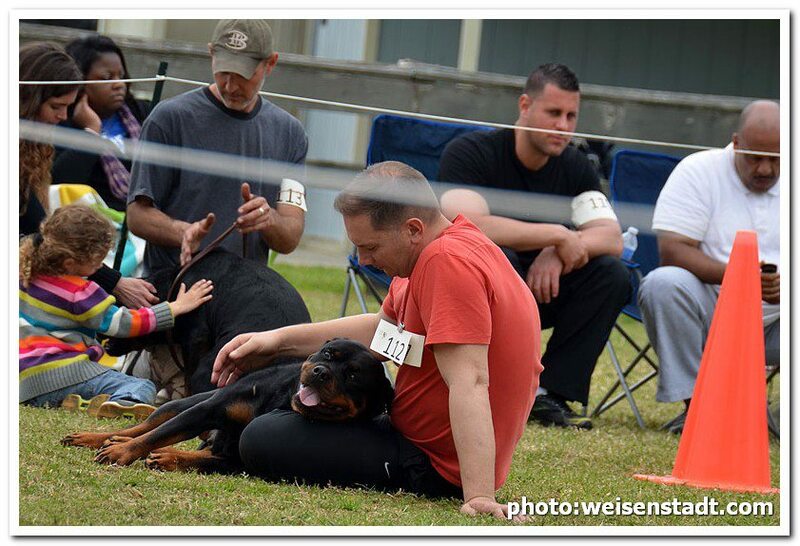 Thanks to our friend Irina for beautiful photos! 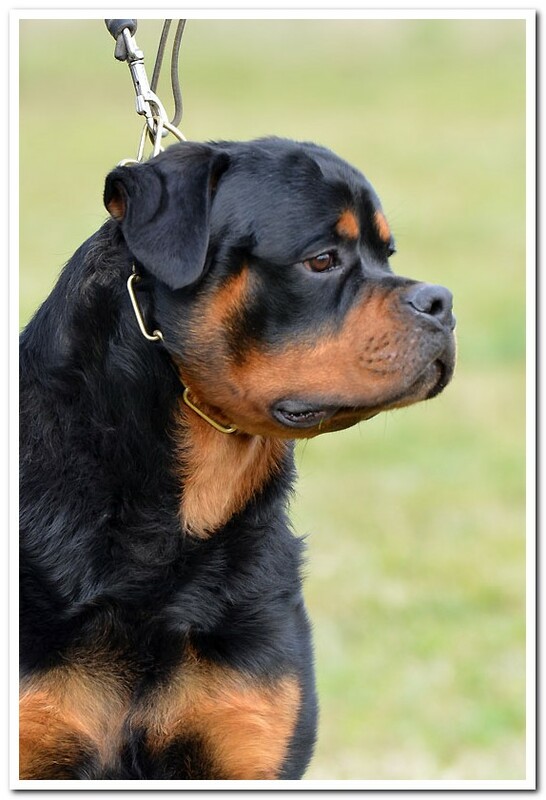 Thanks to our friend Mary for beautiful photos! 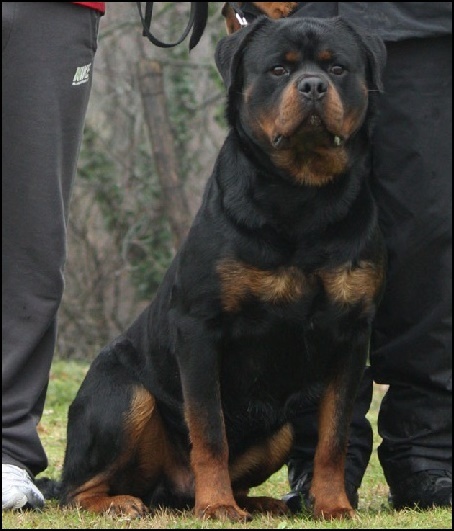 THAT WE HAVE A NEW MALE IN OUR KENNEL! 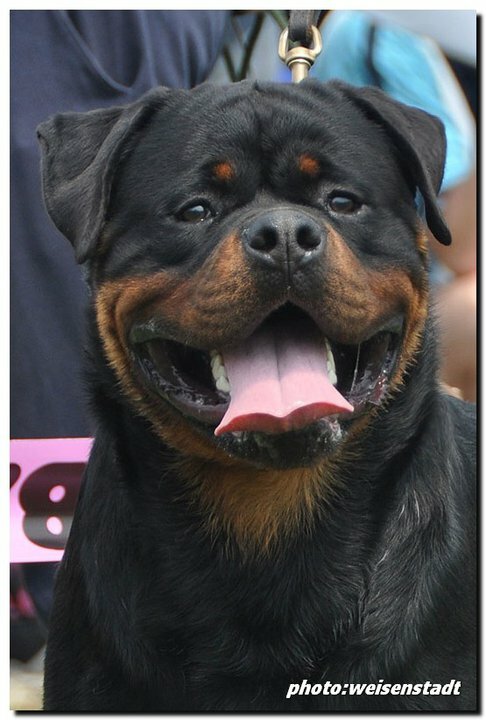 Watch for him at the shows in the 2012 show season! 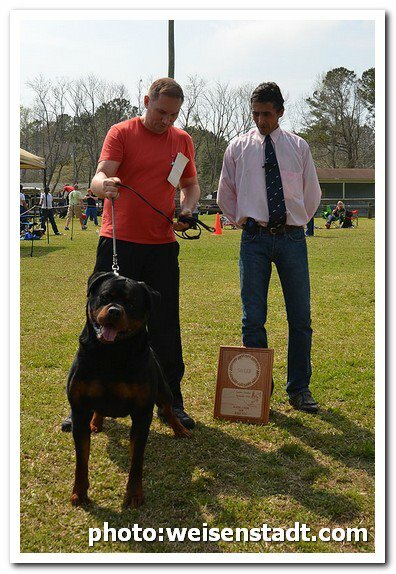 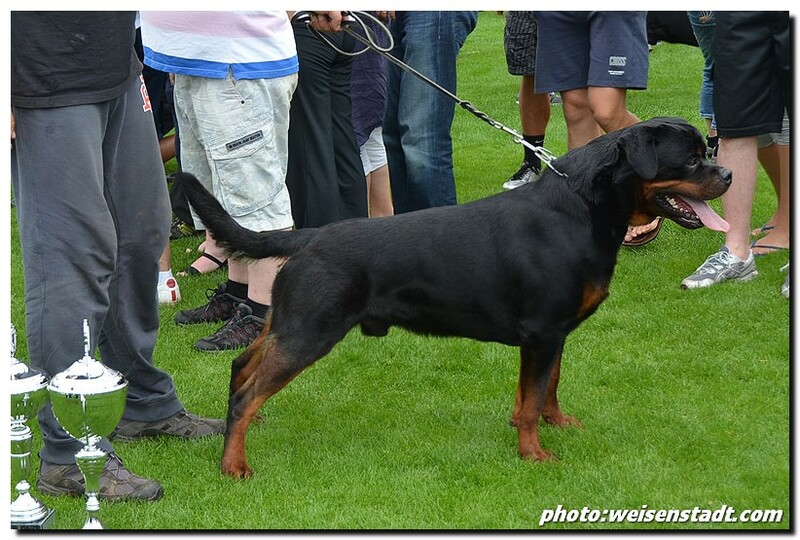 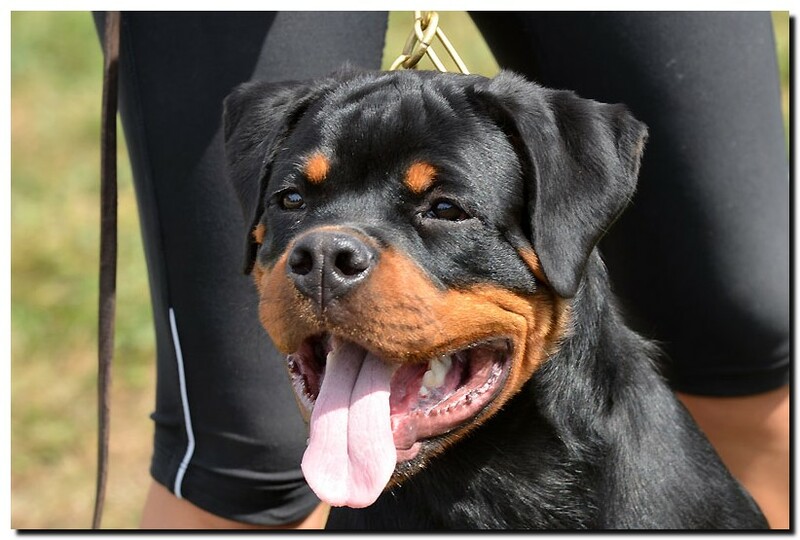 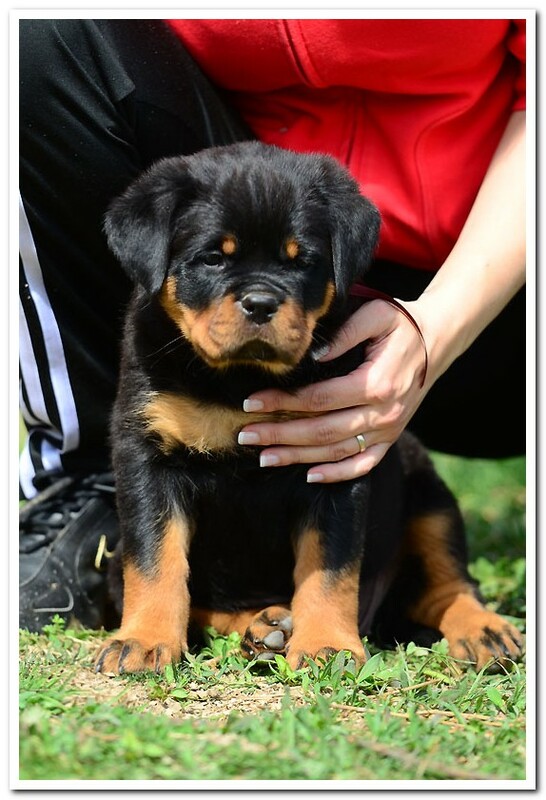 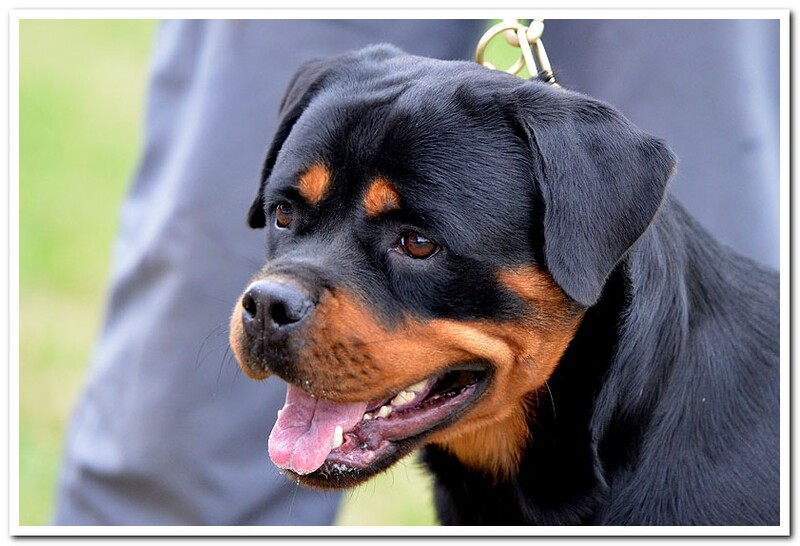 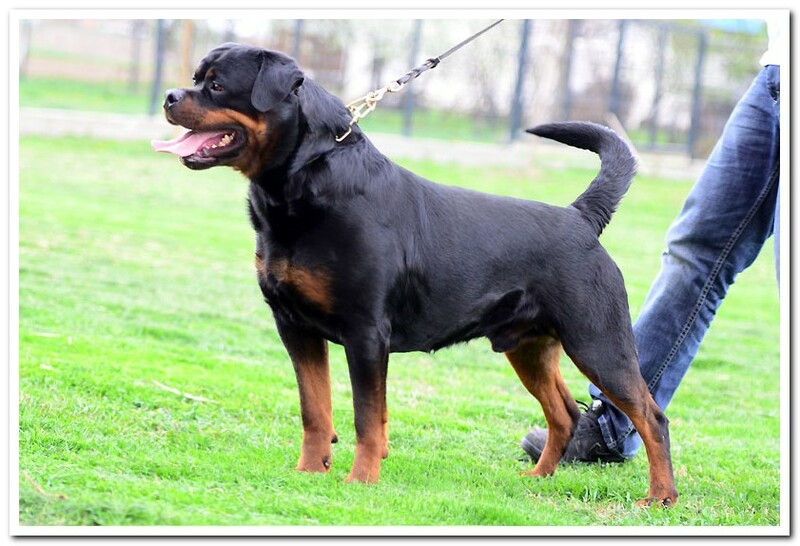 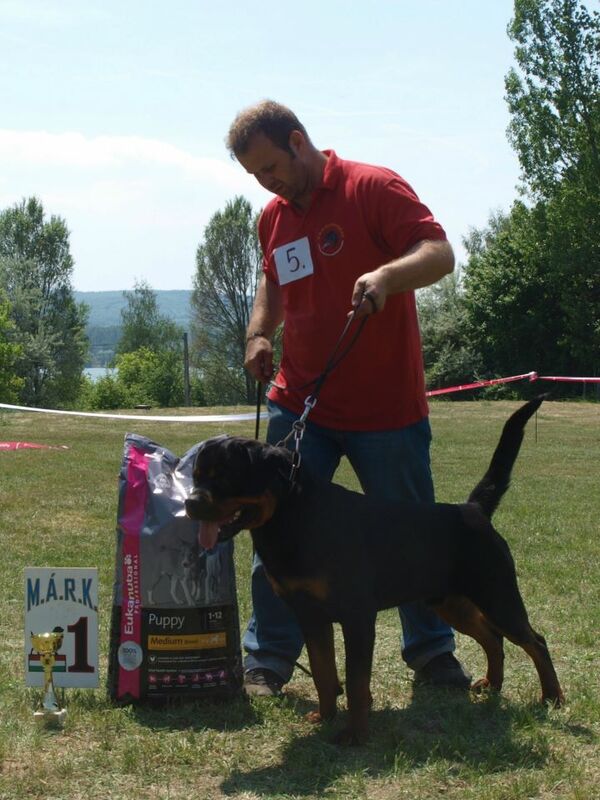 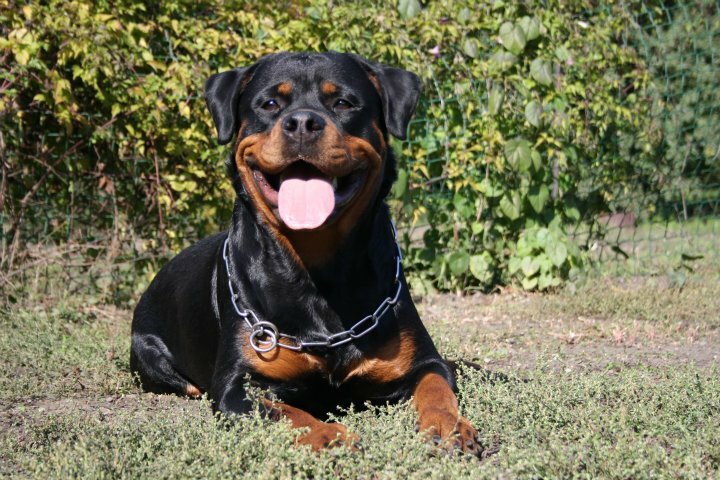 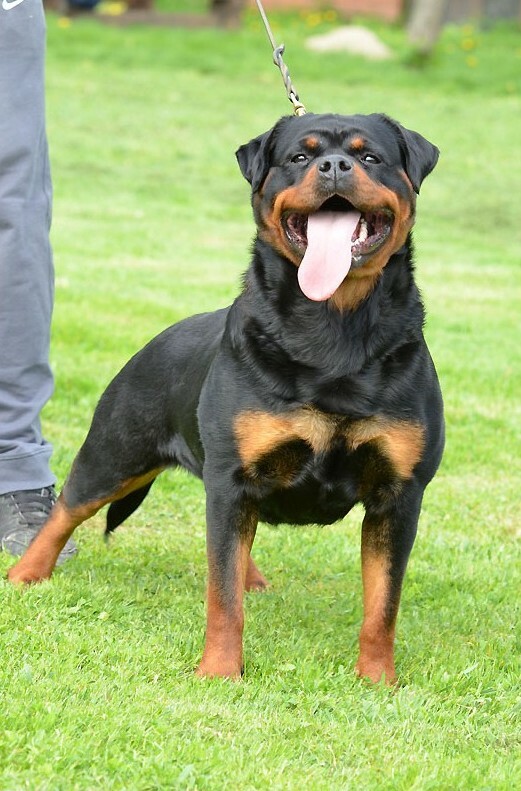 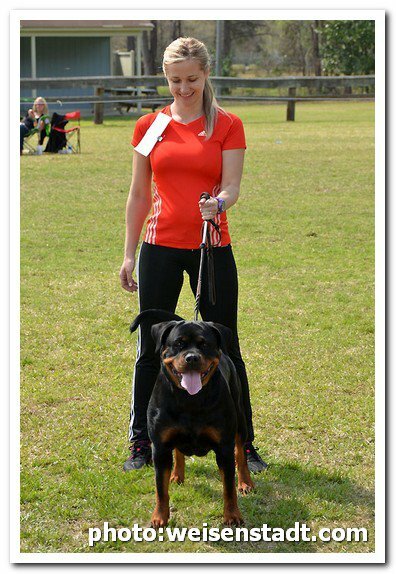 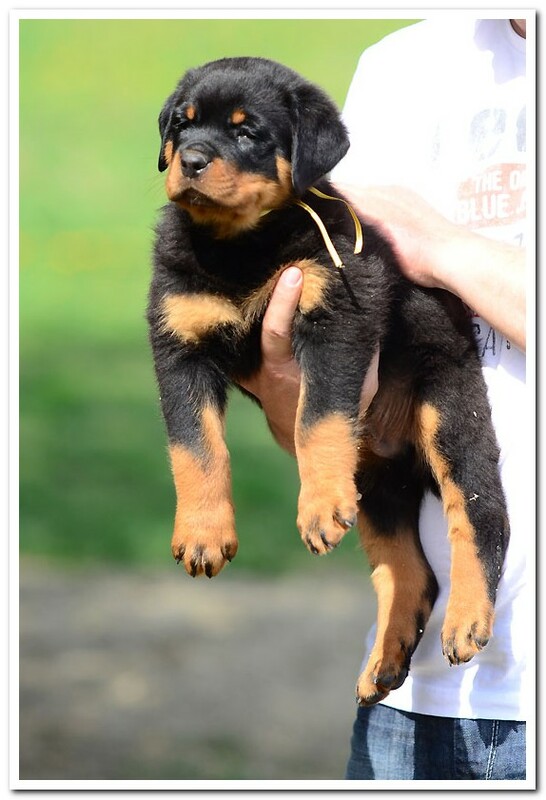 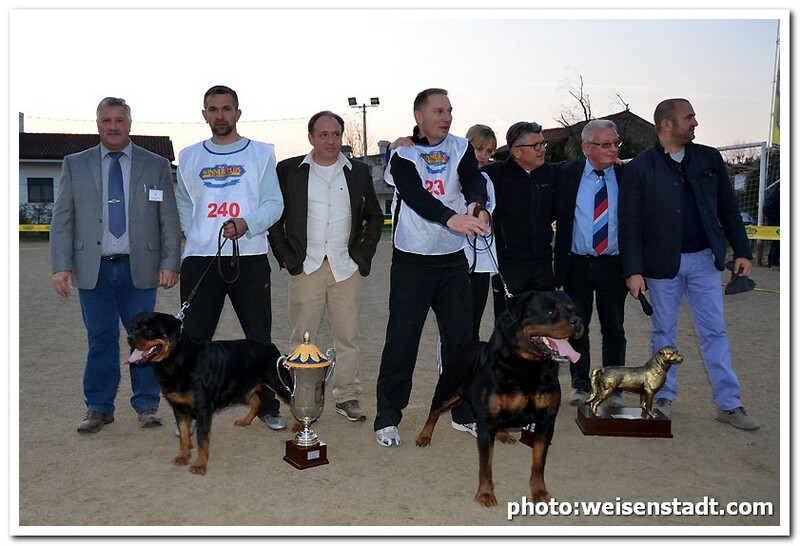 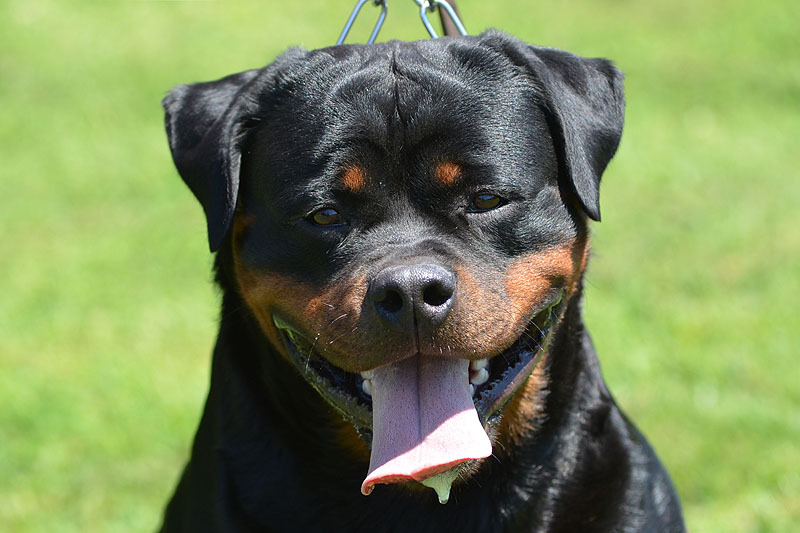 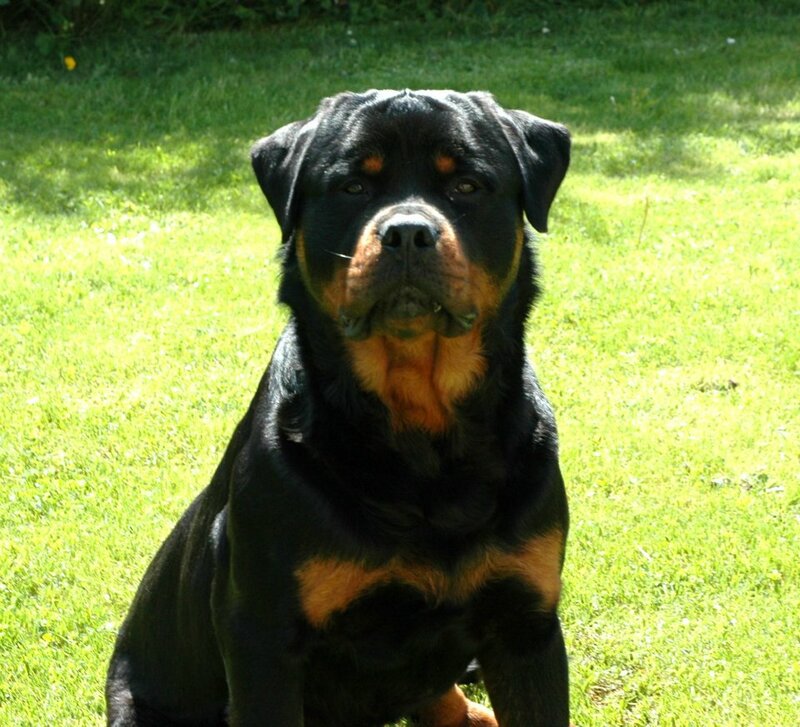 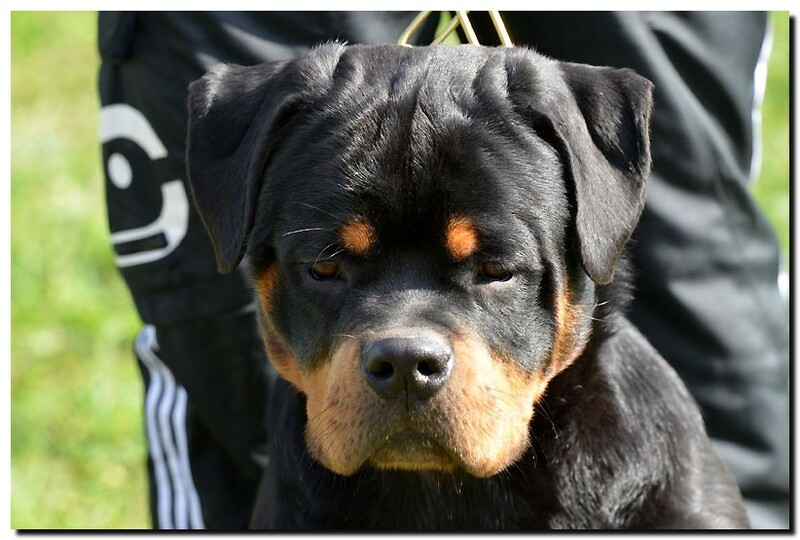 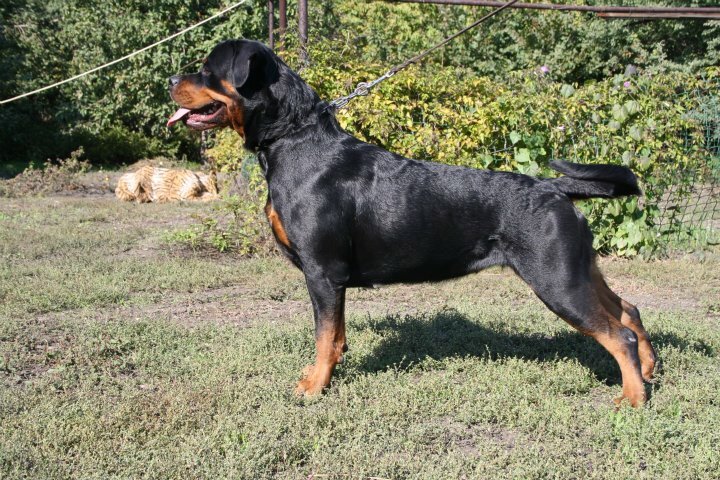 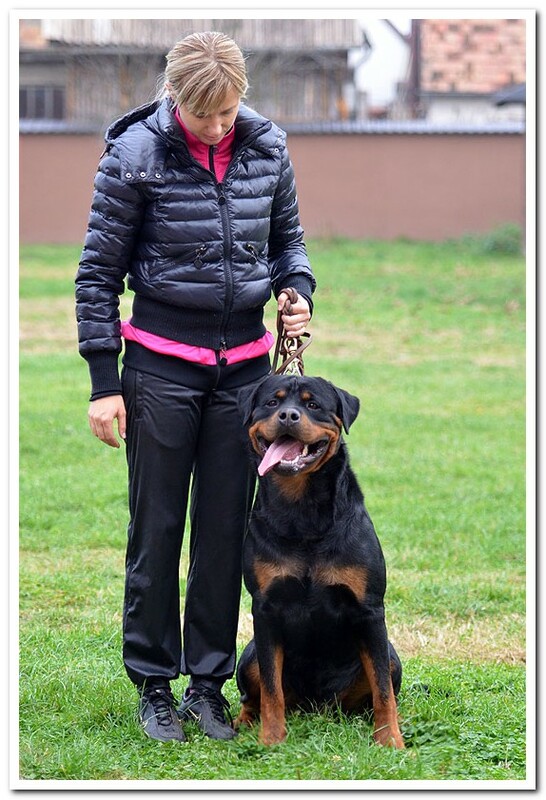 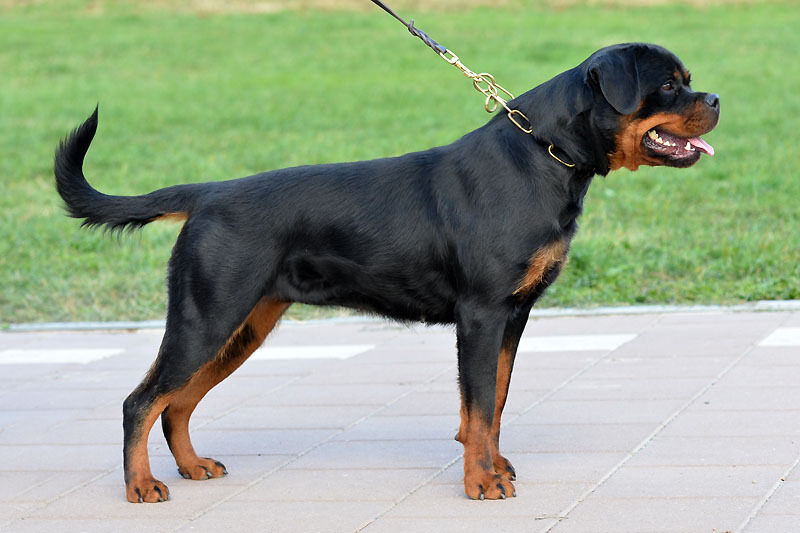 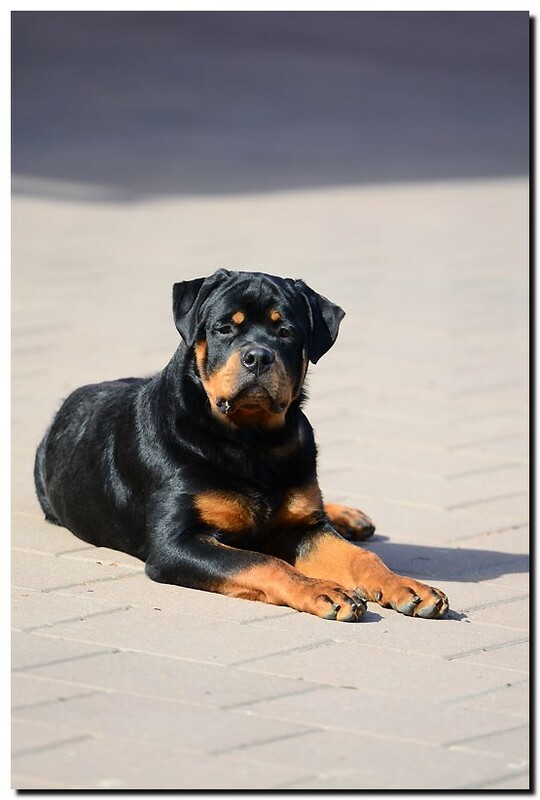 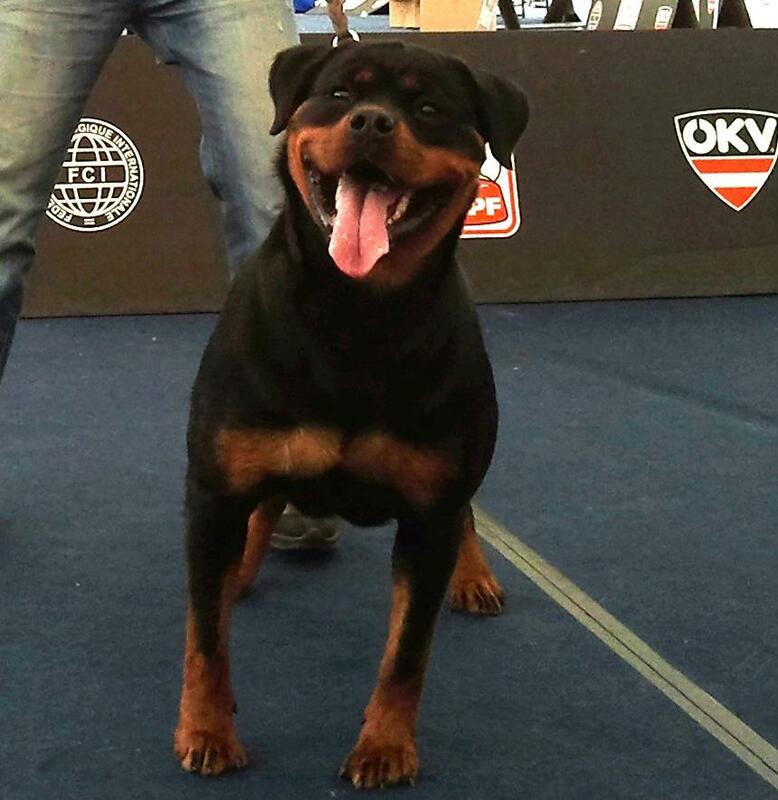 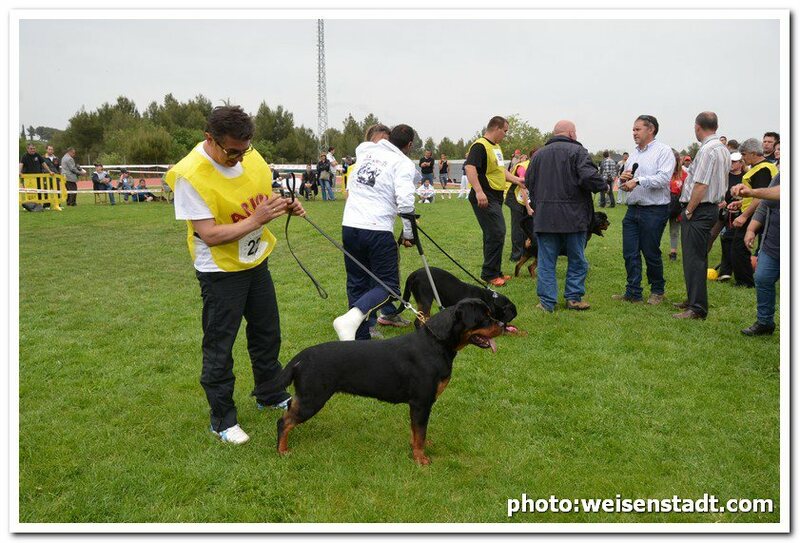 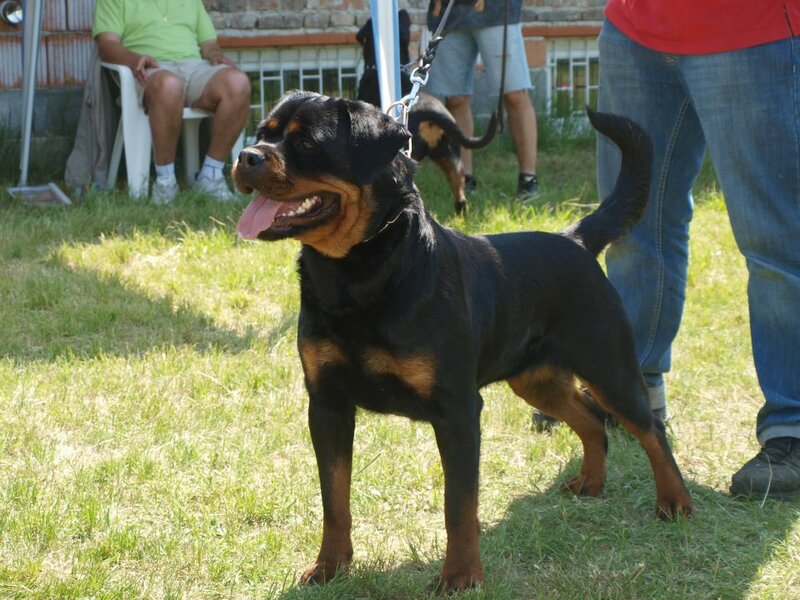 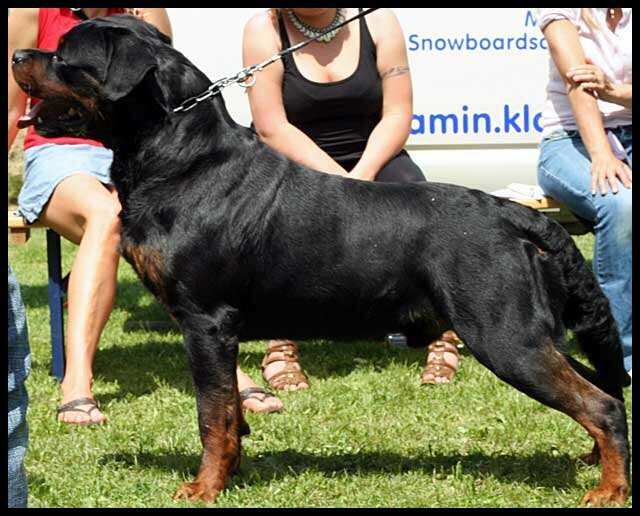 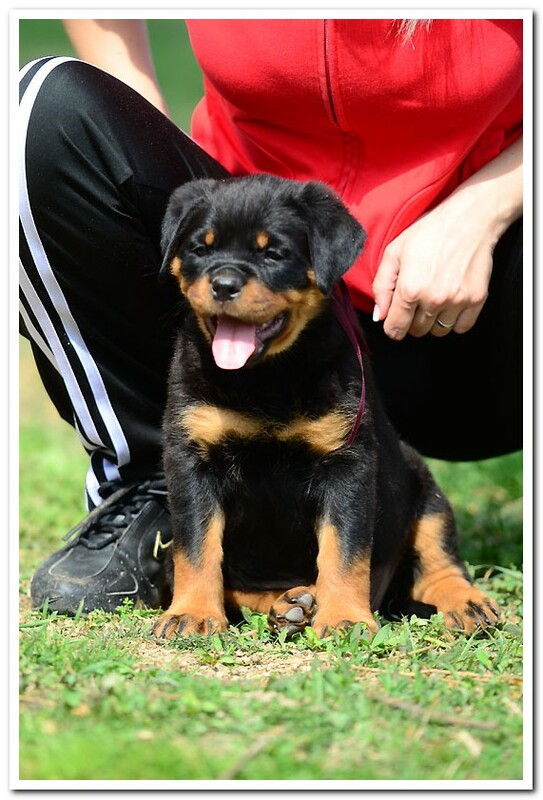 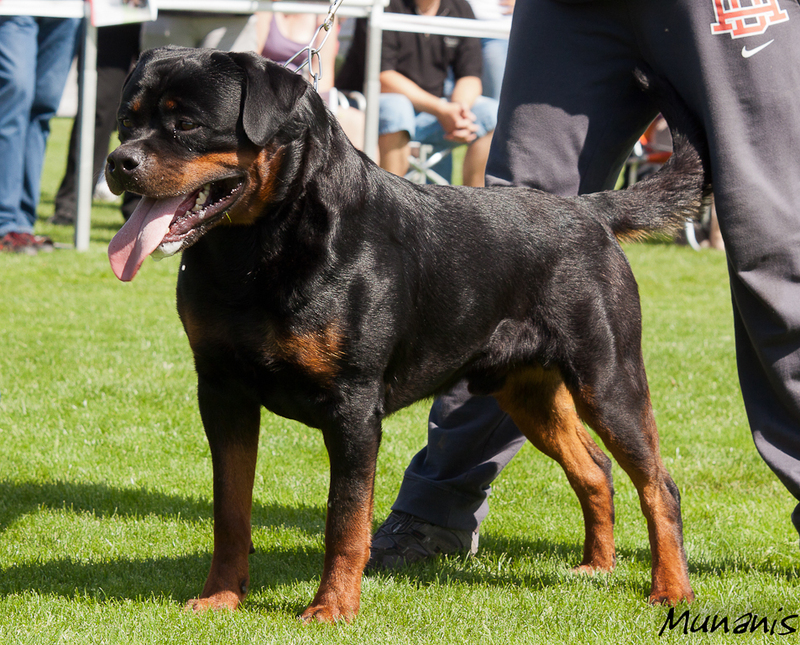 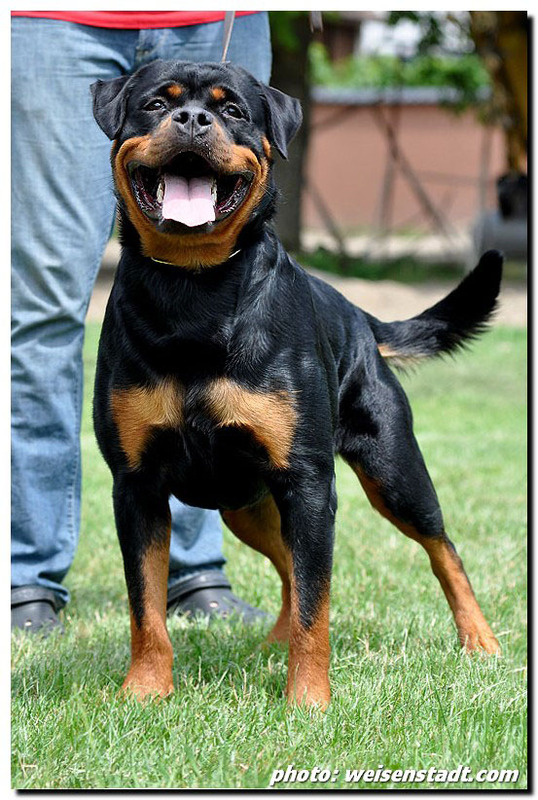 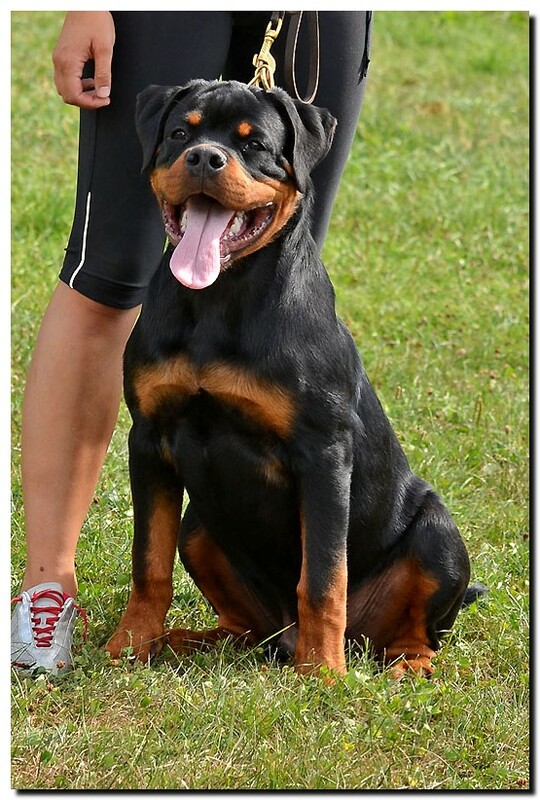 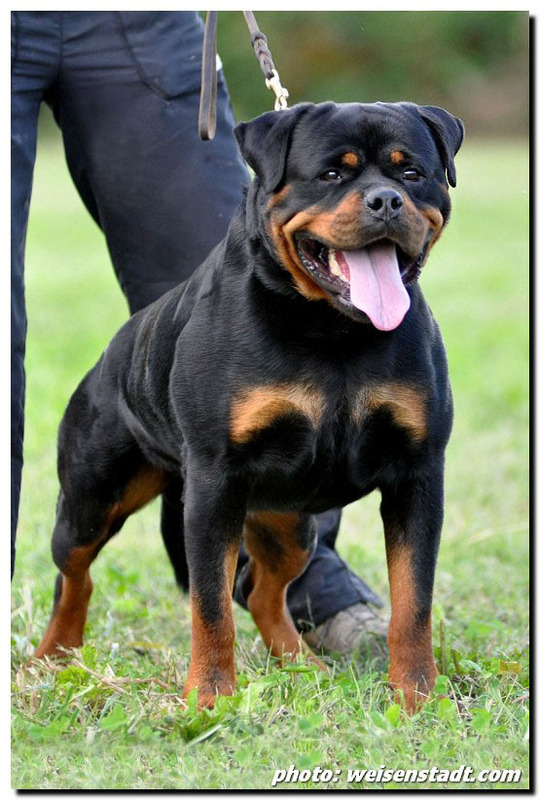 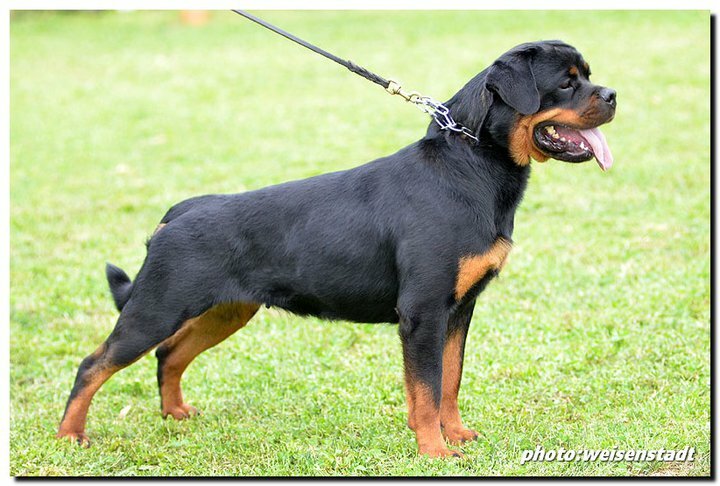 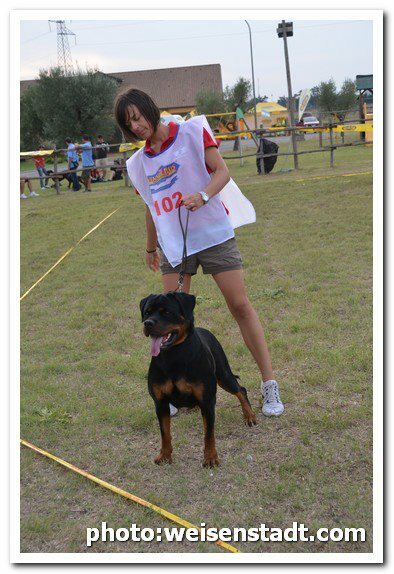 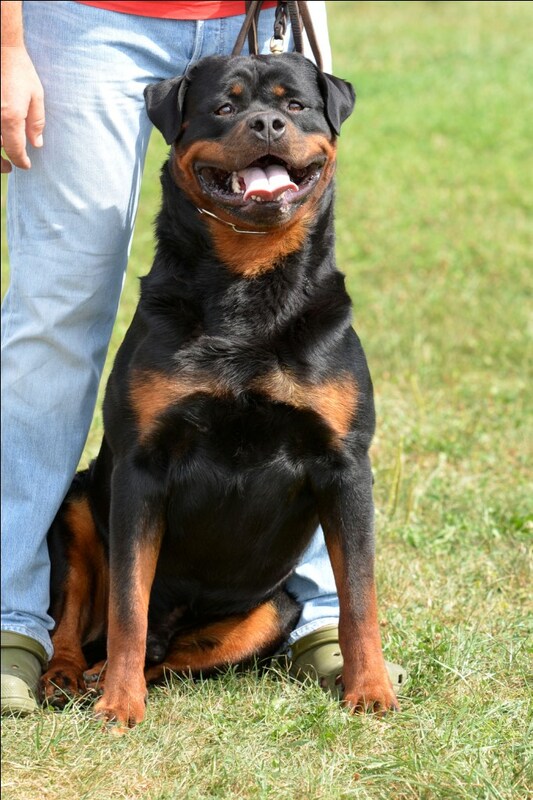 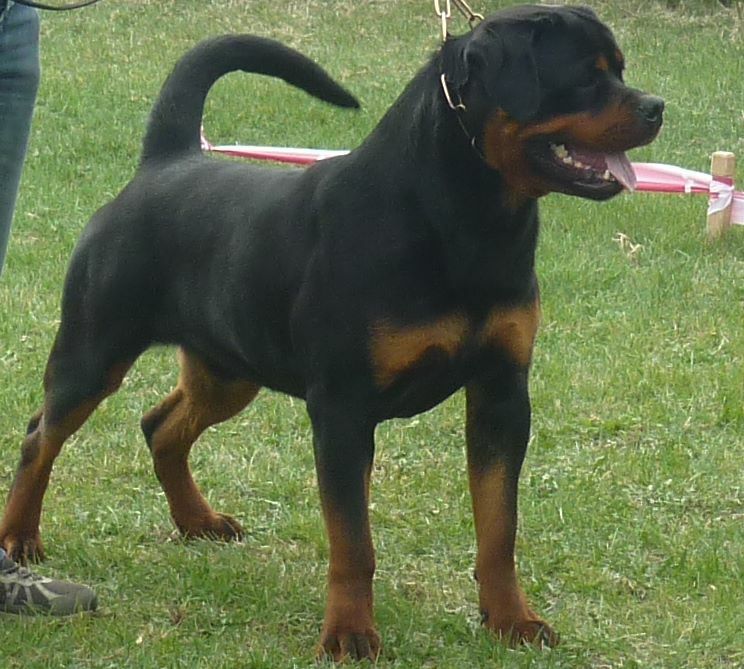 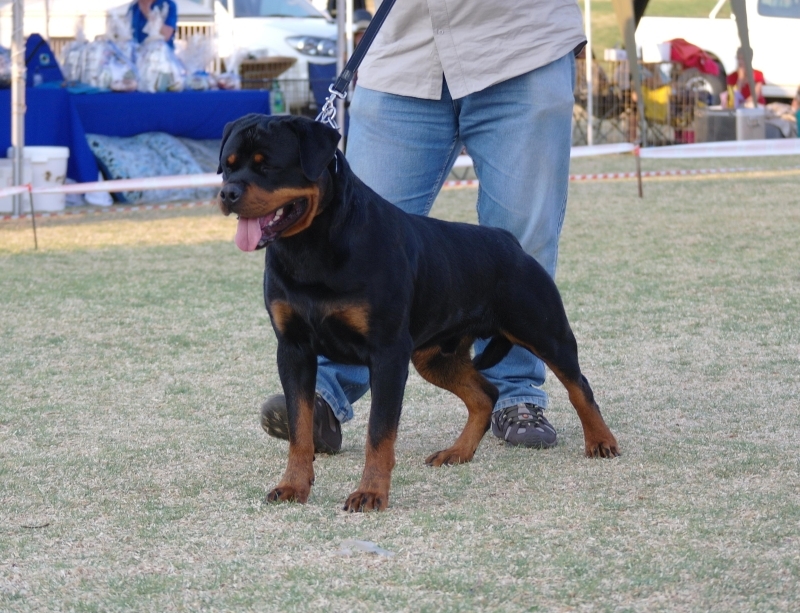 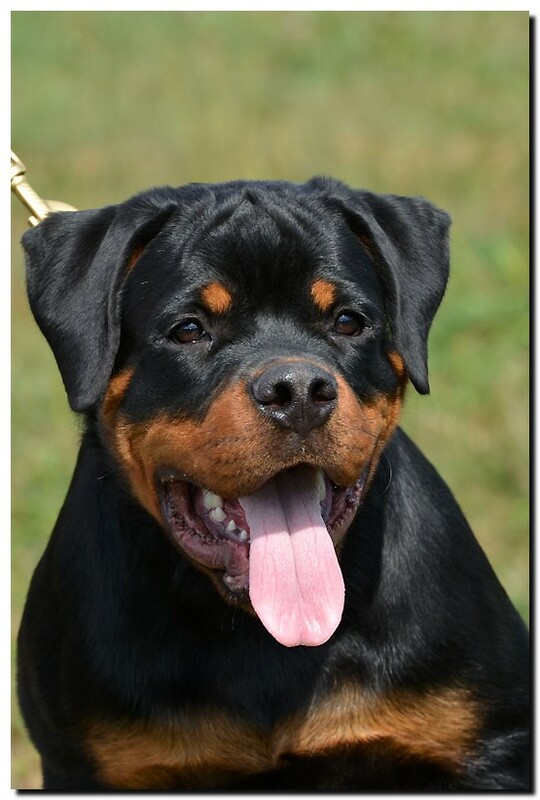 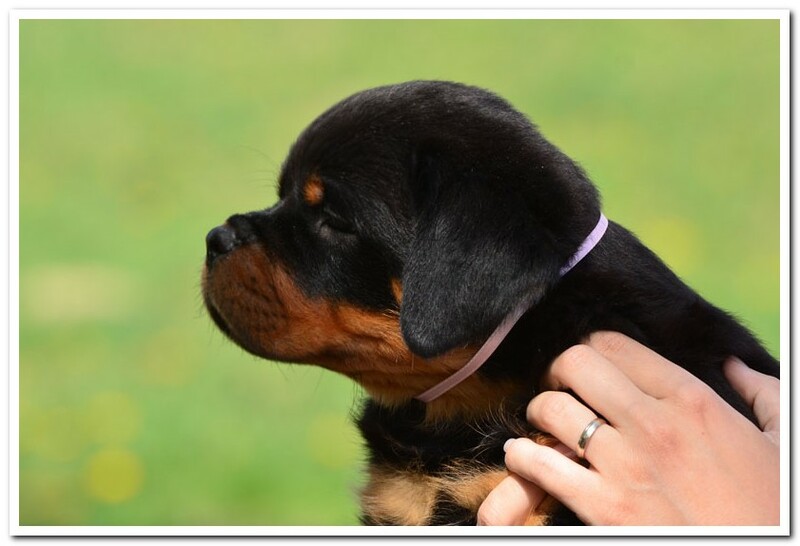 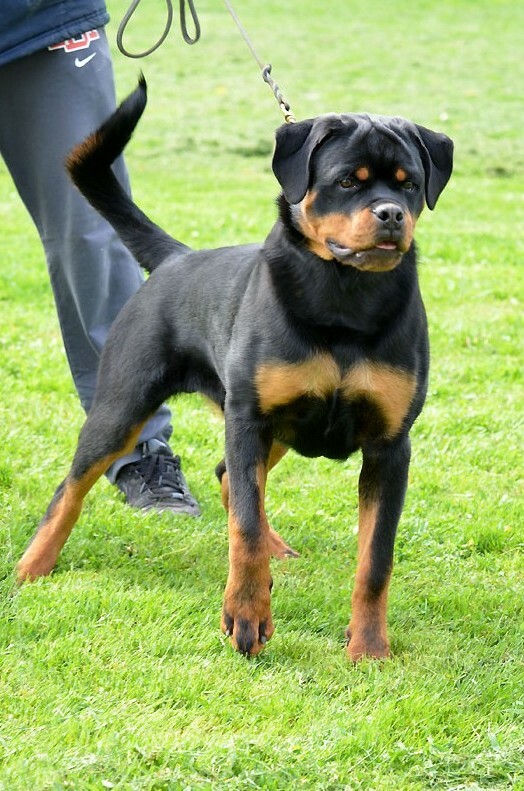 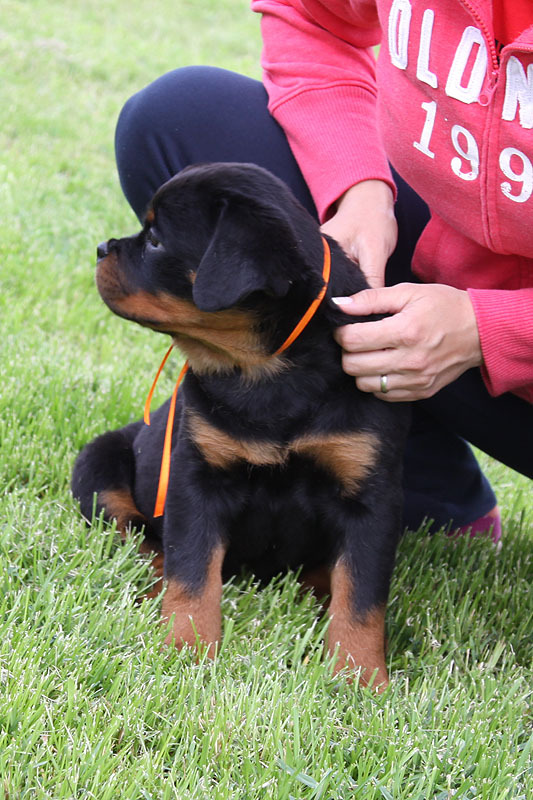 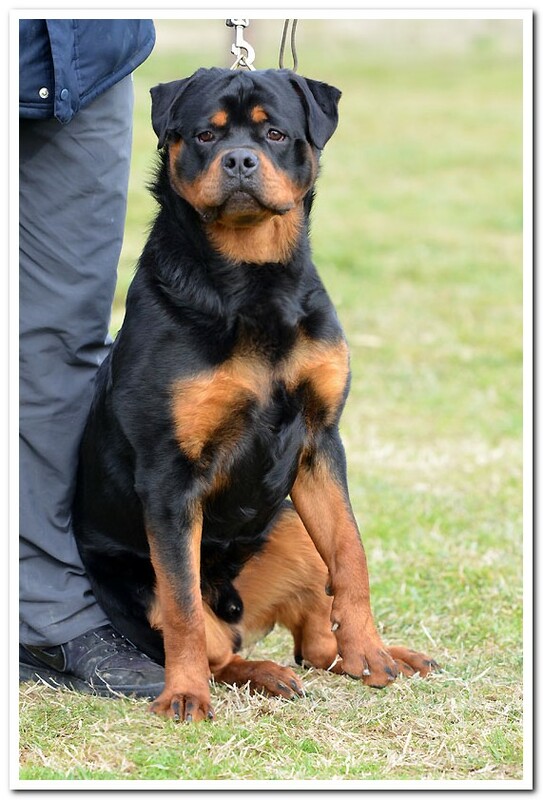 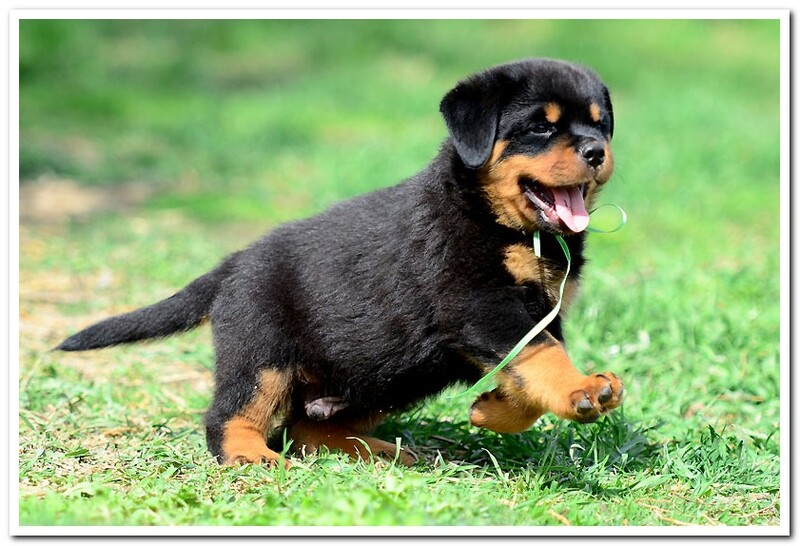 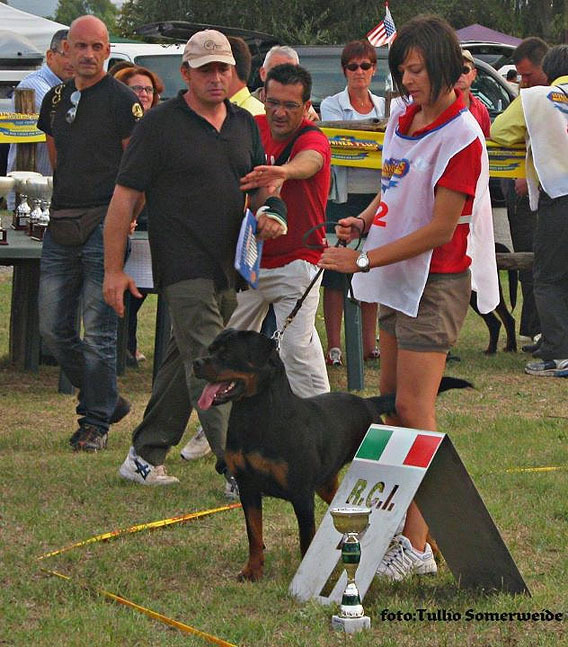 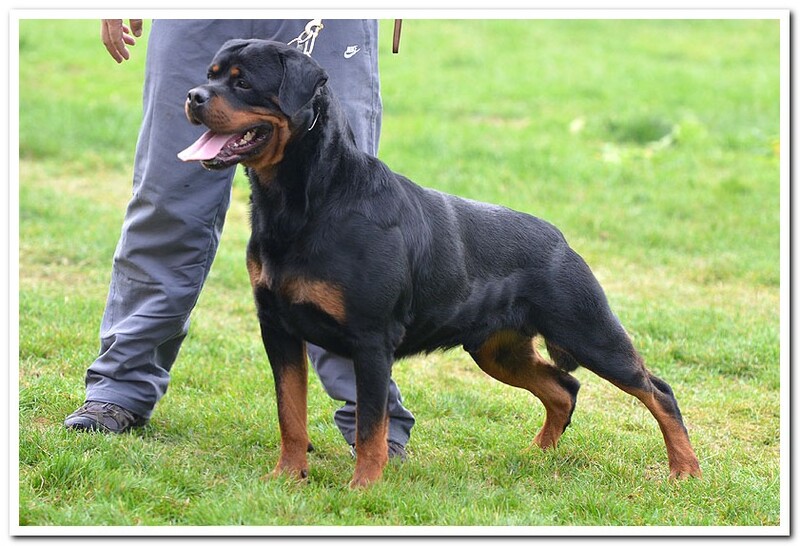 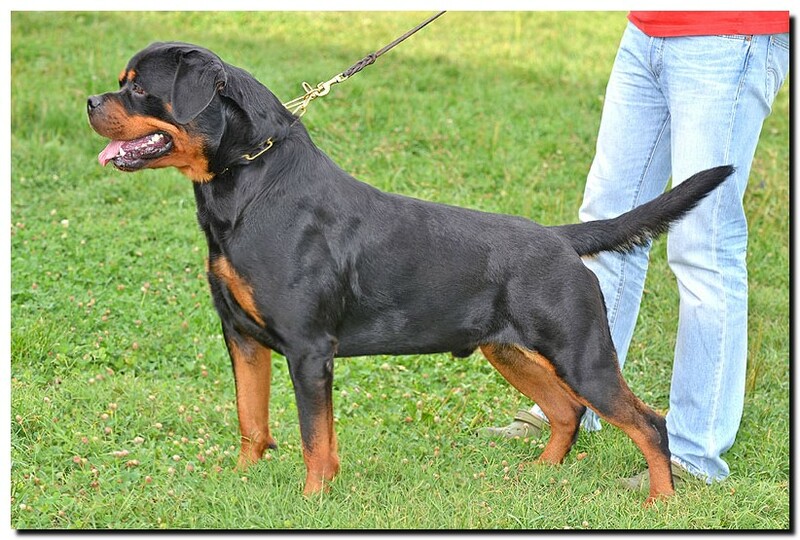 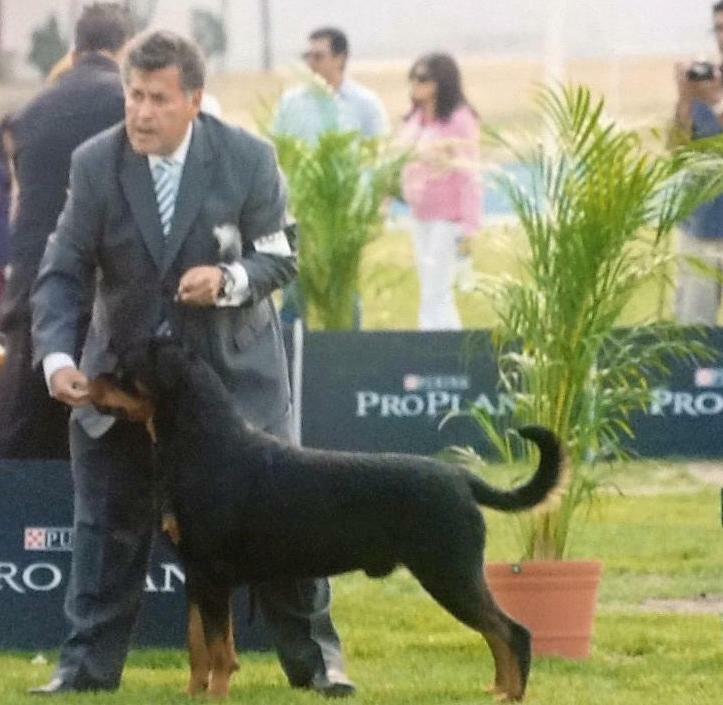 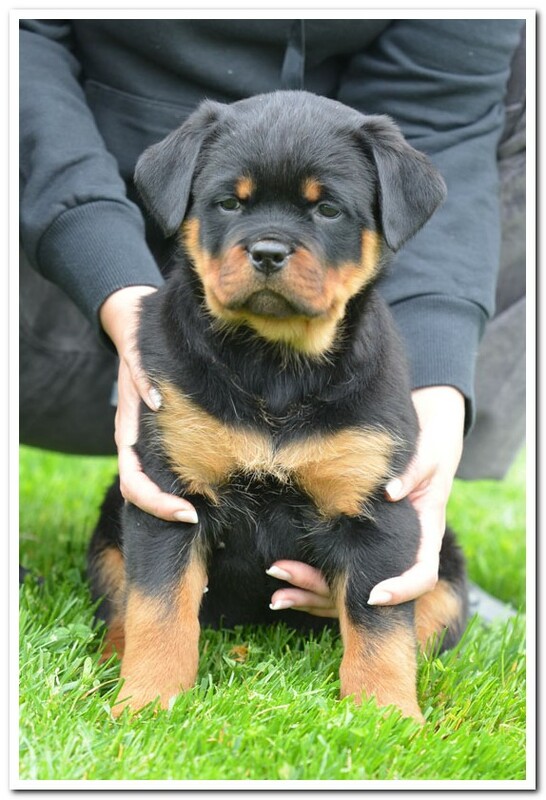 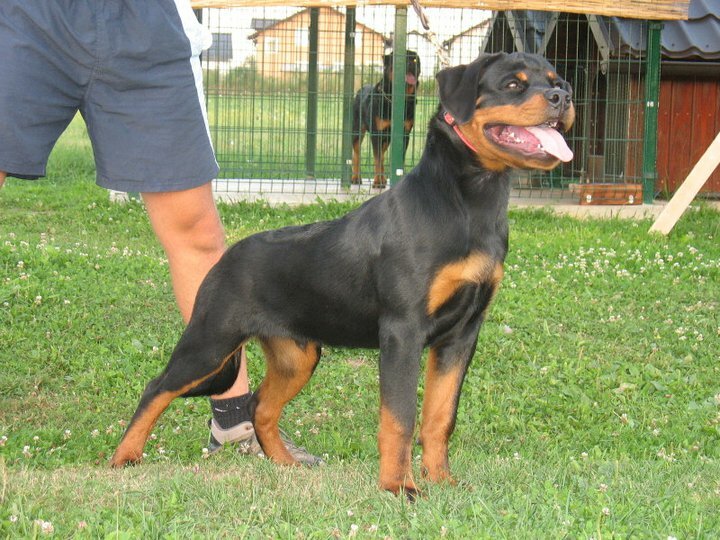 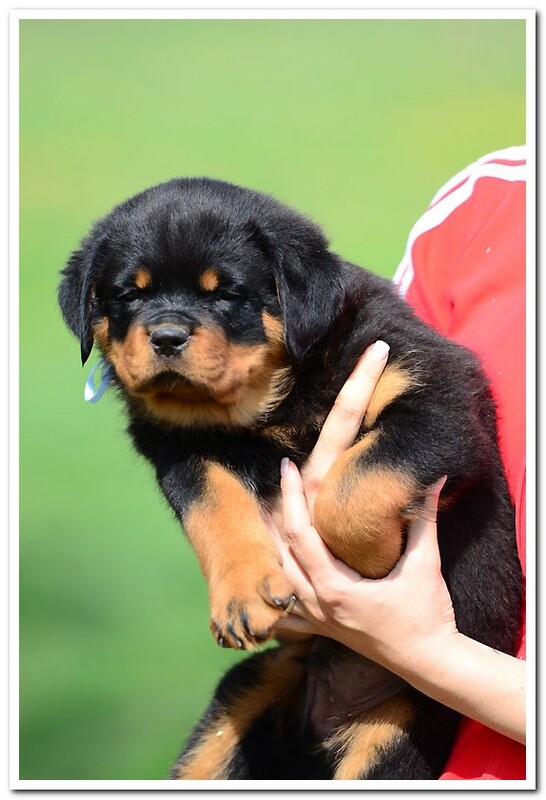 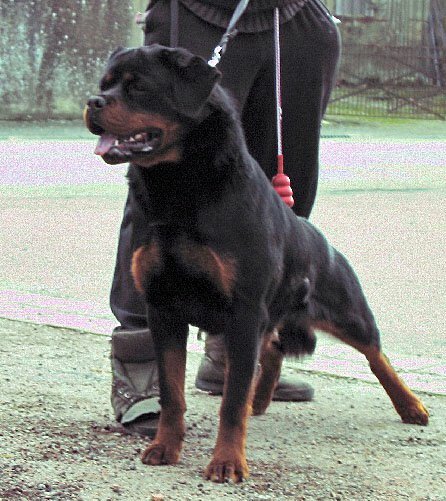 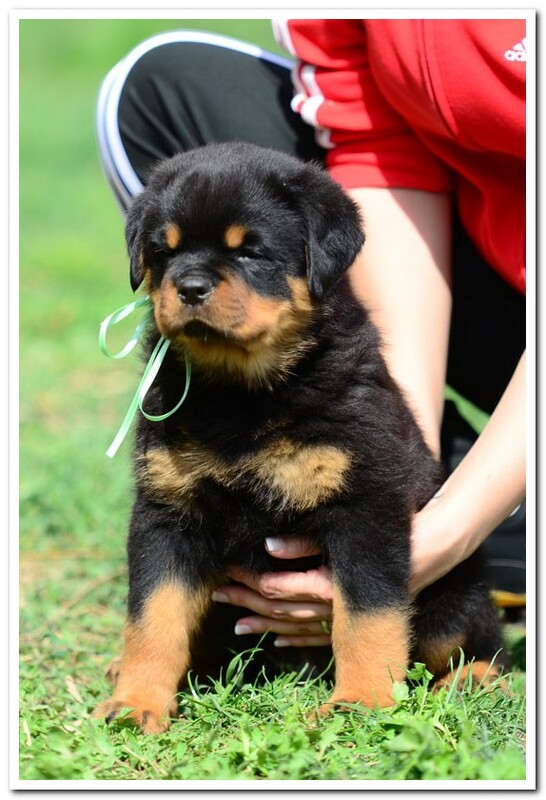 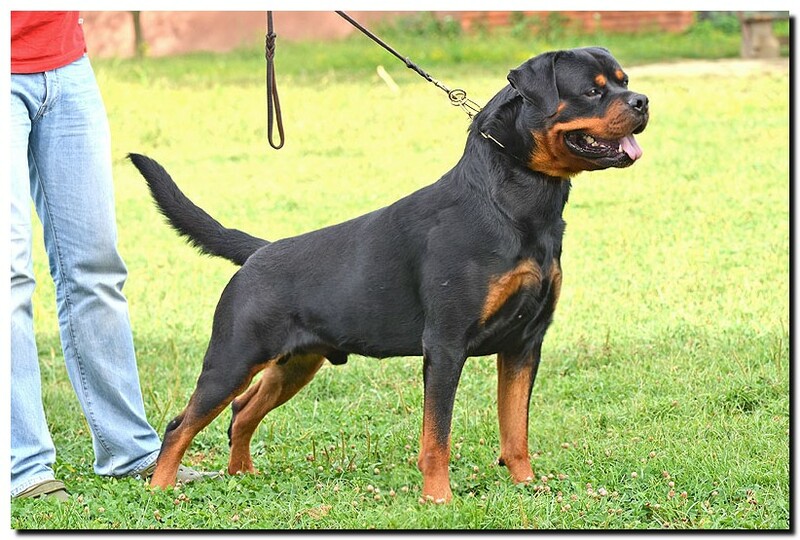 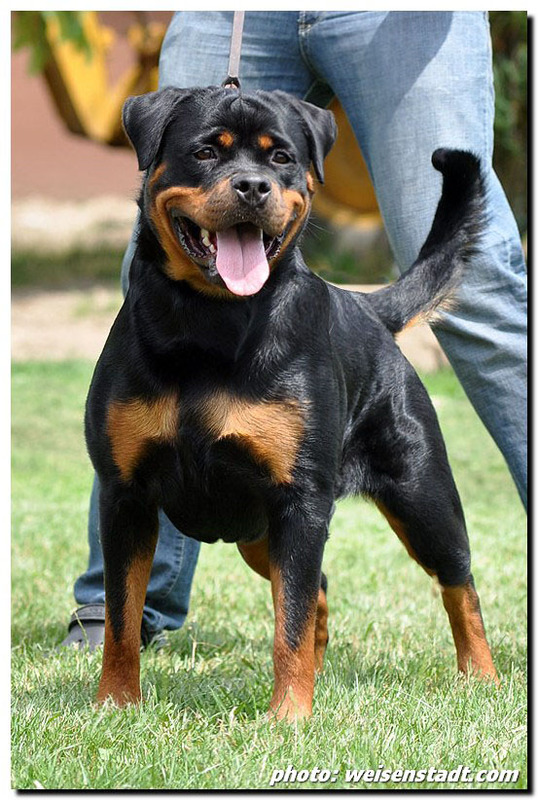 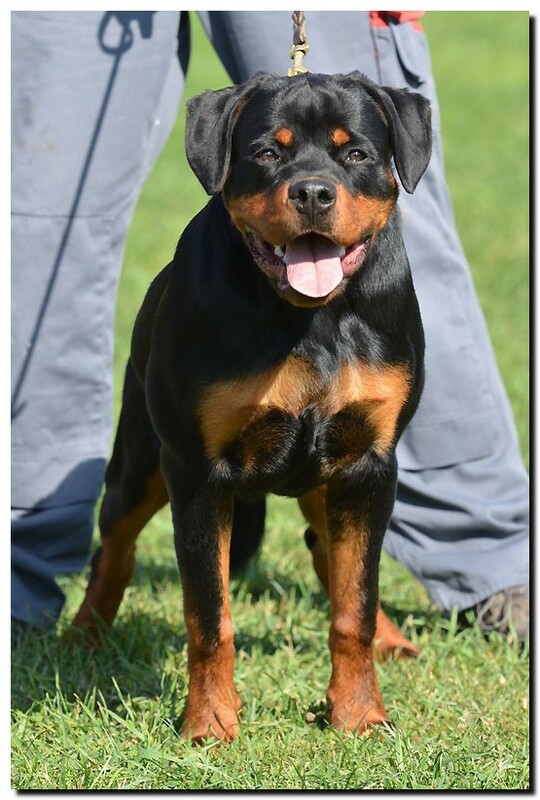 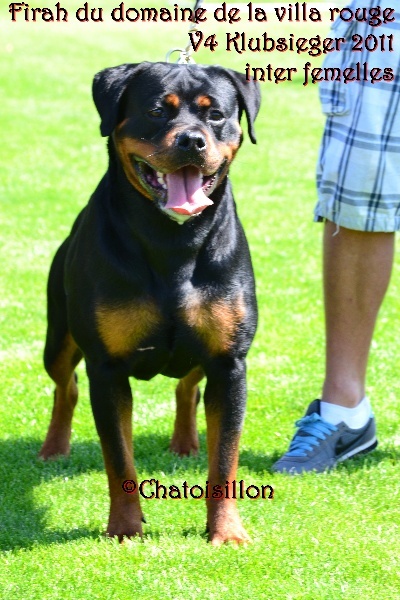 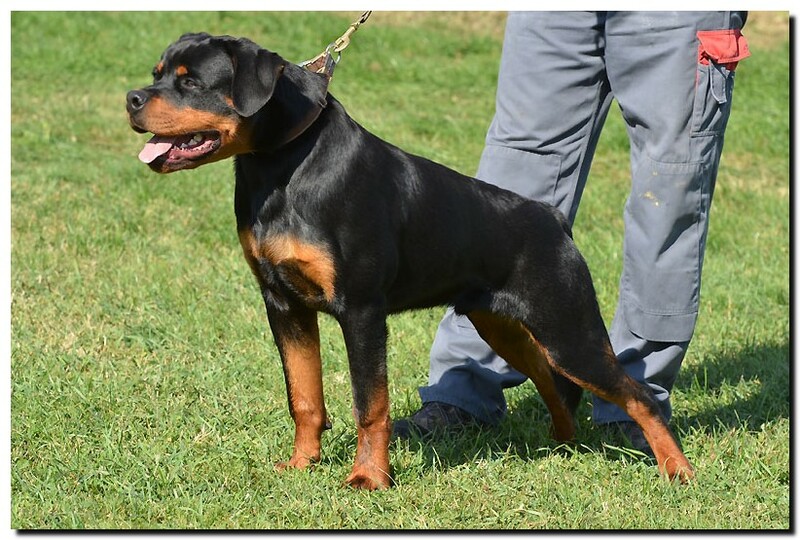 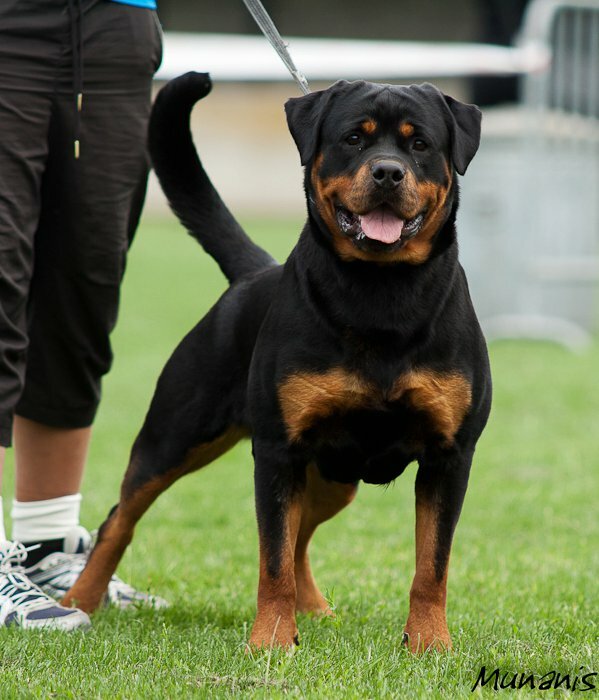 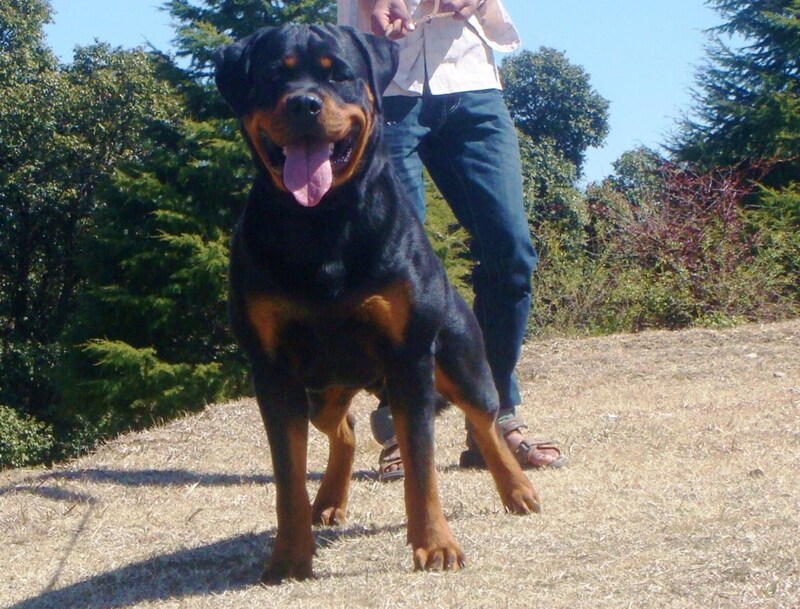 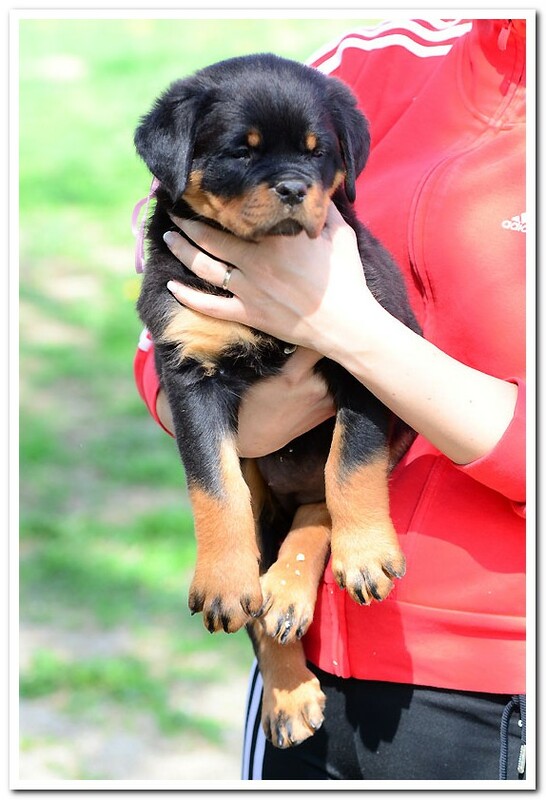 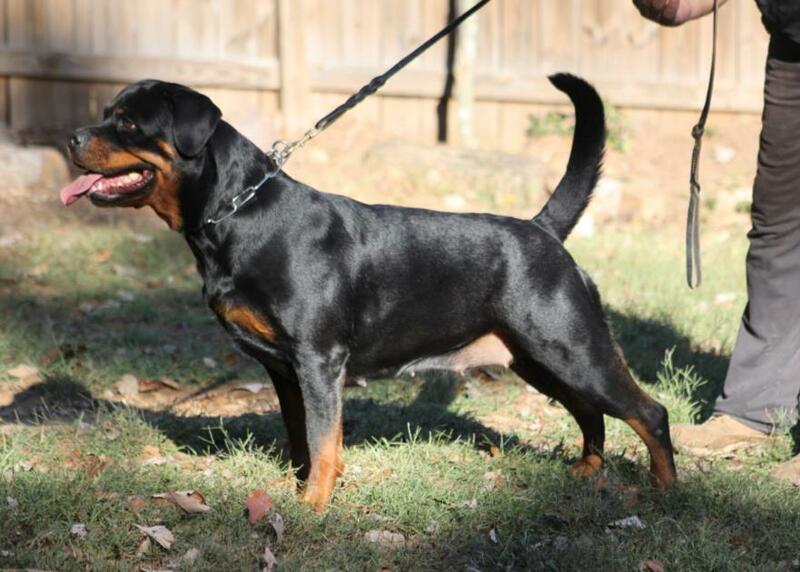 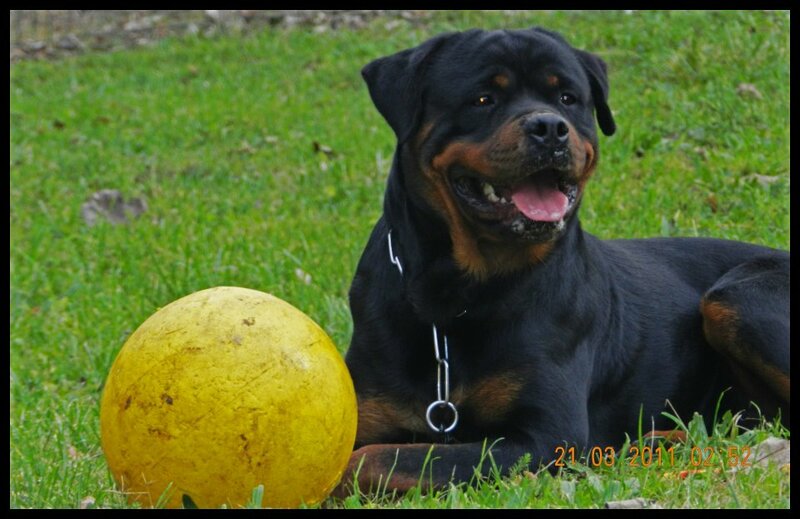 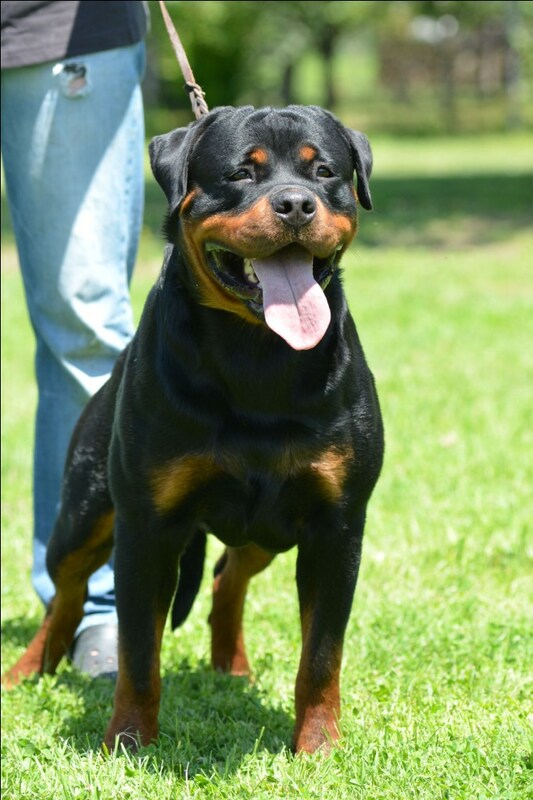 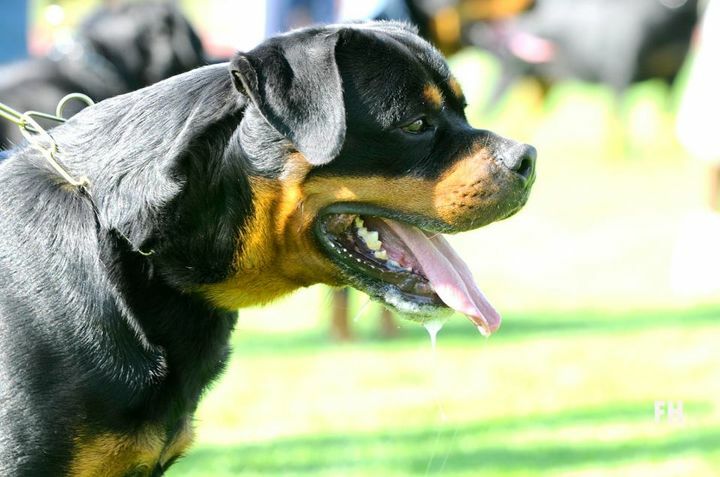 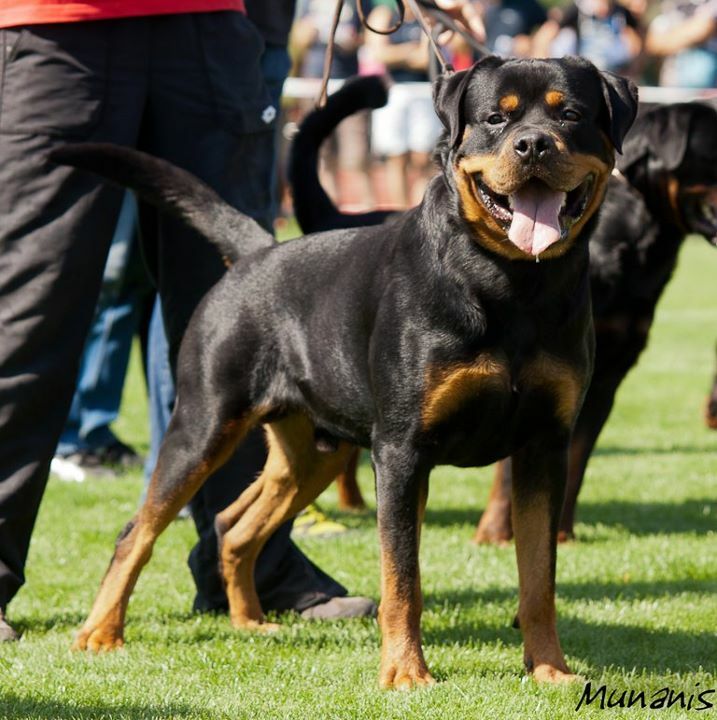 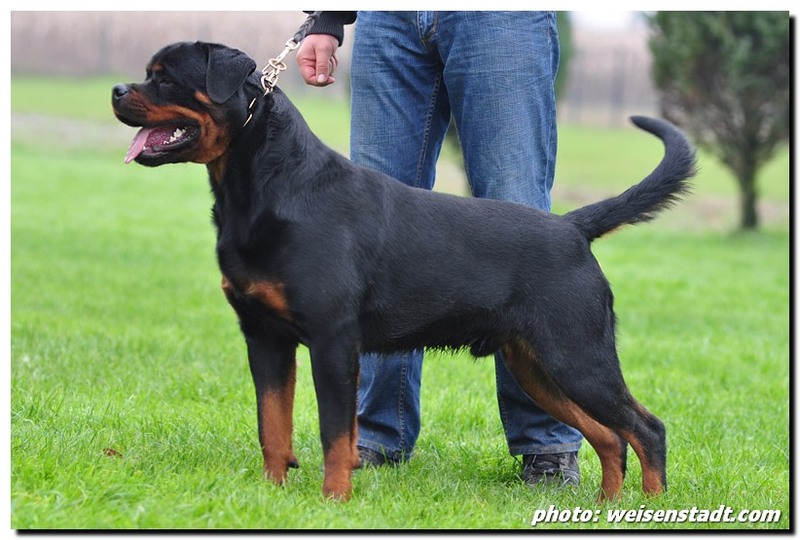 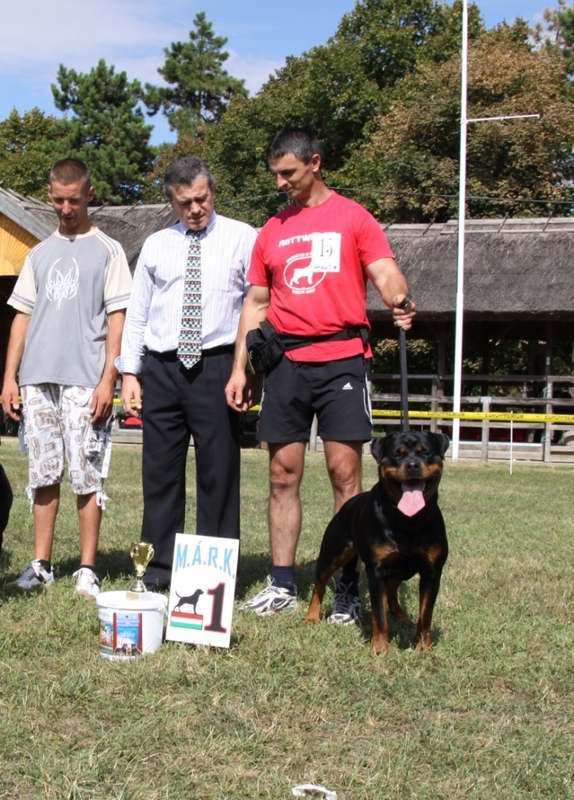 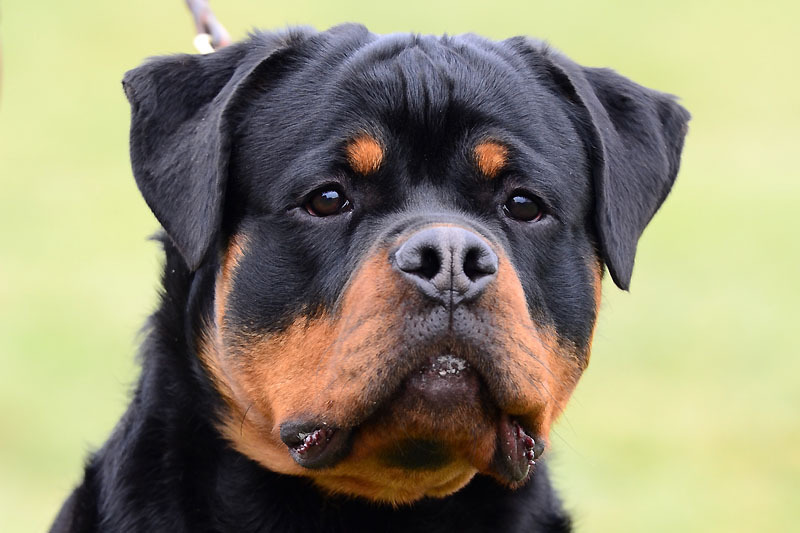 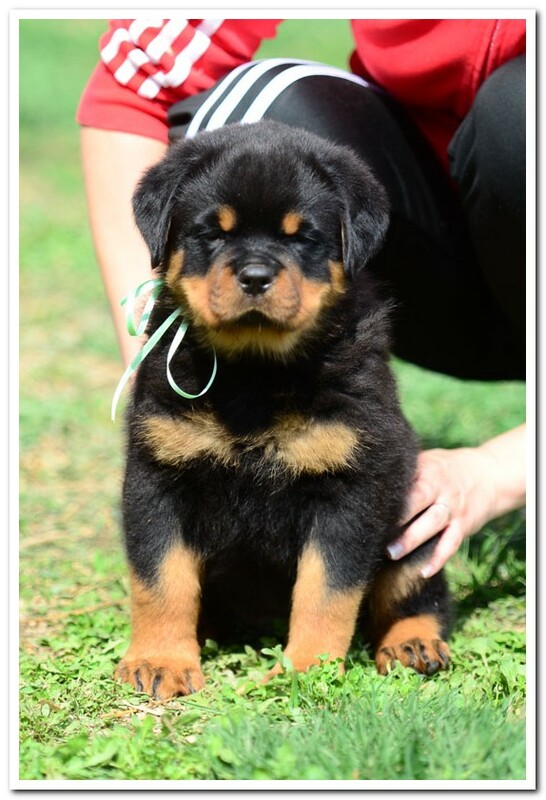 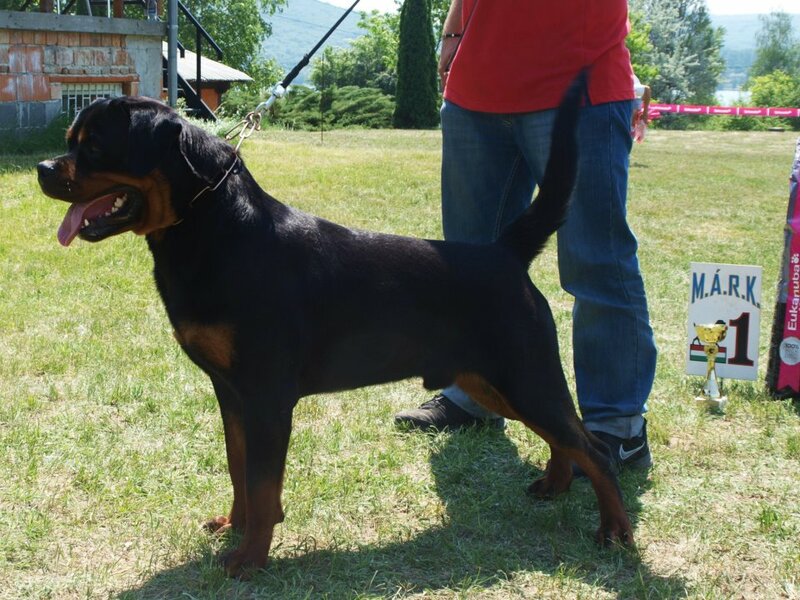 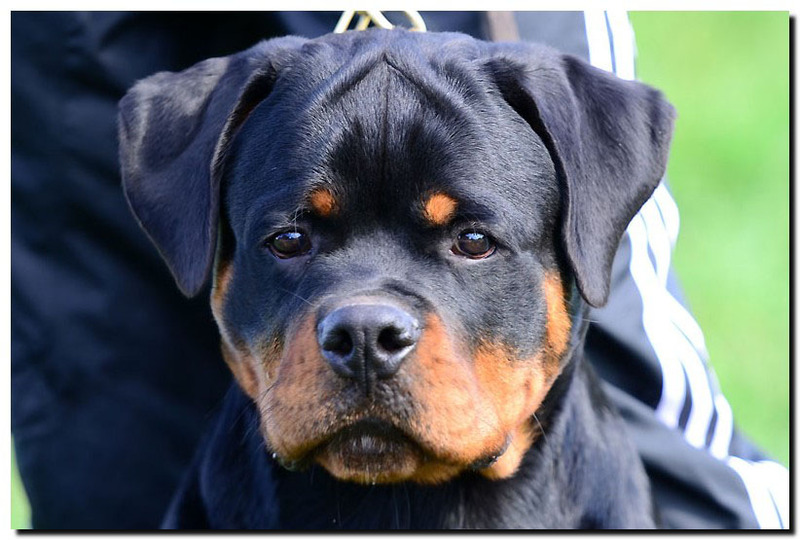 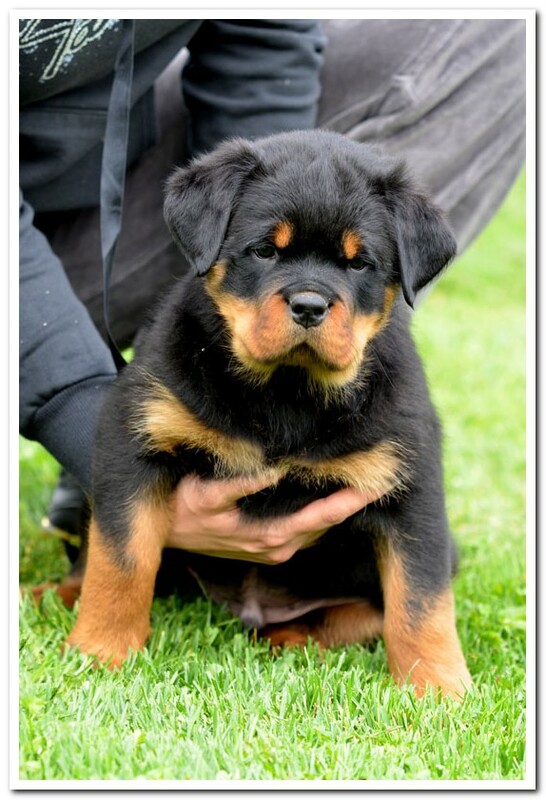 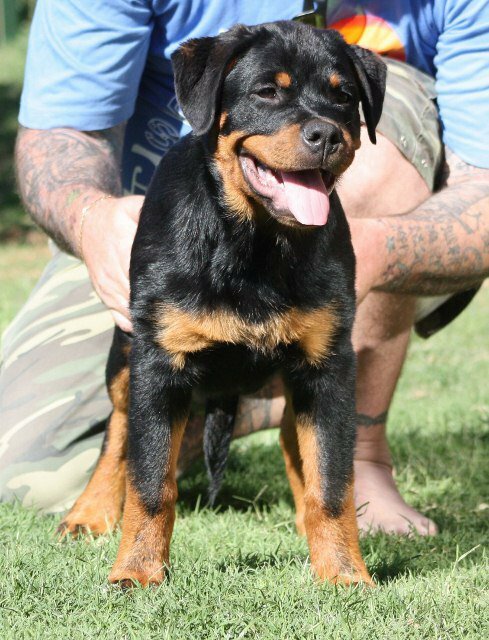 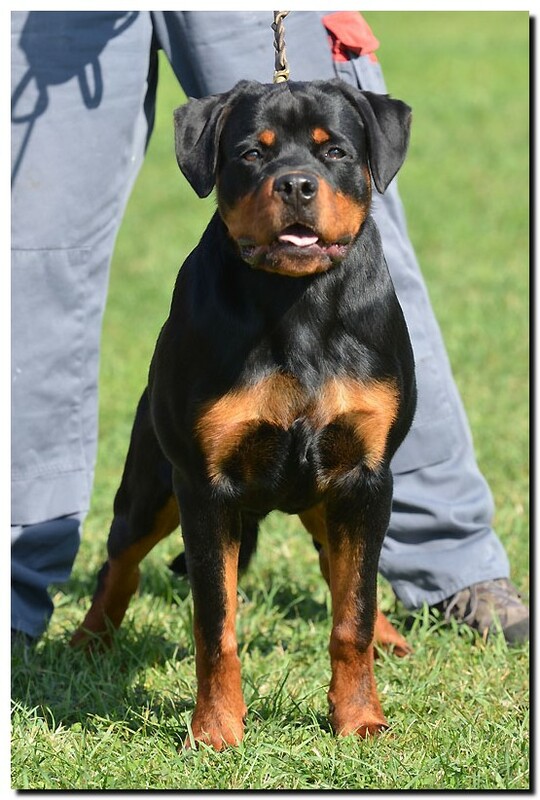 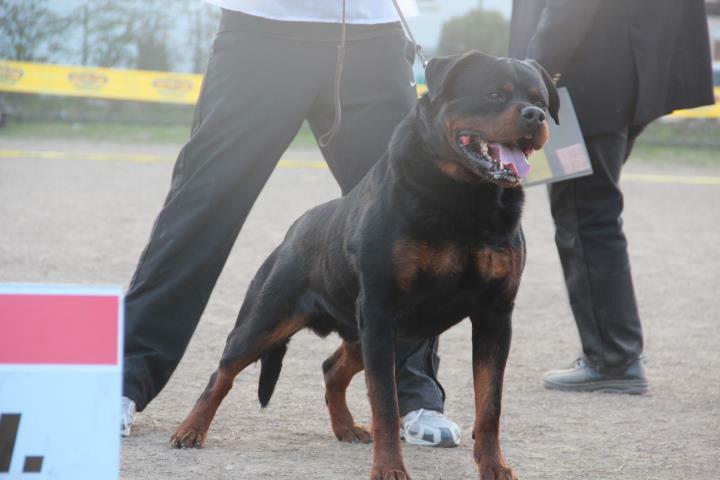 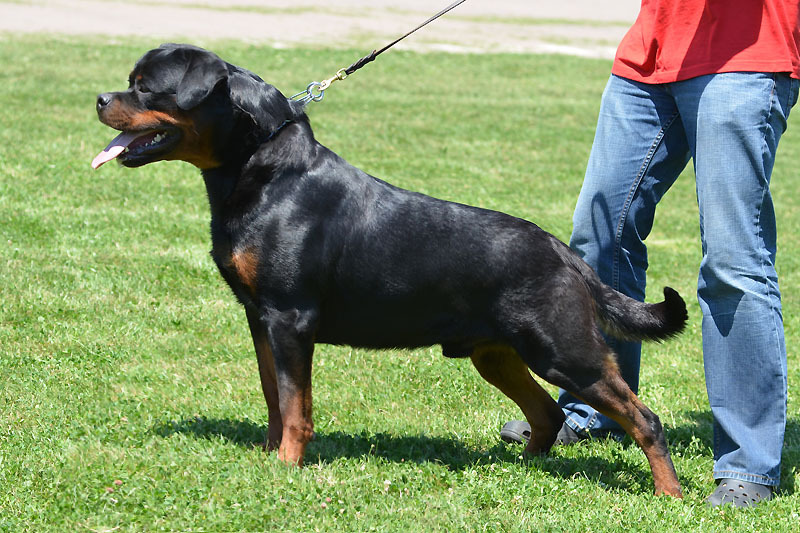 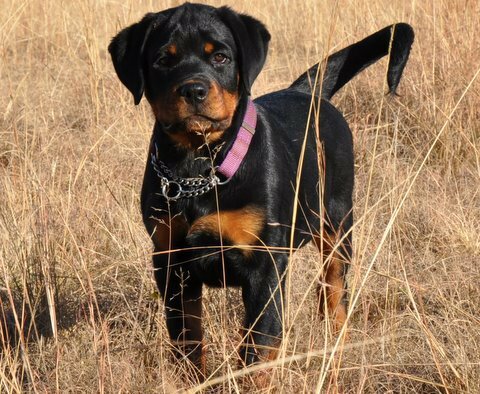 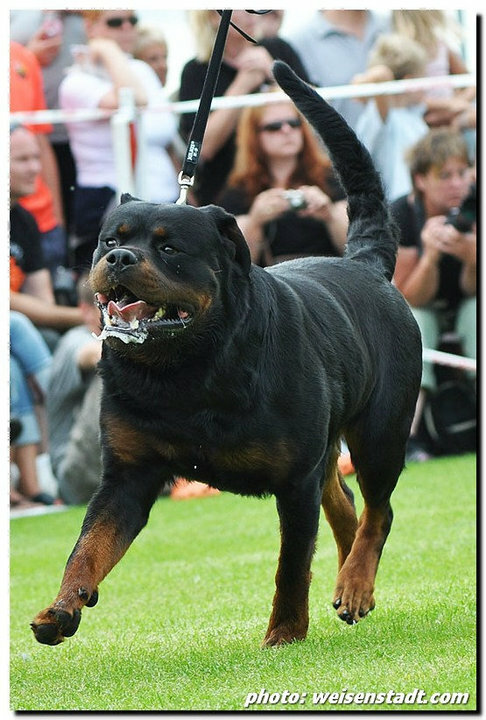 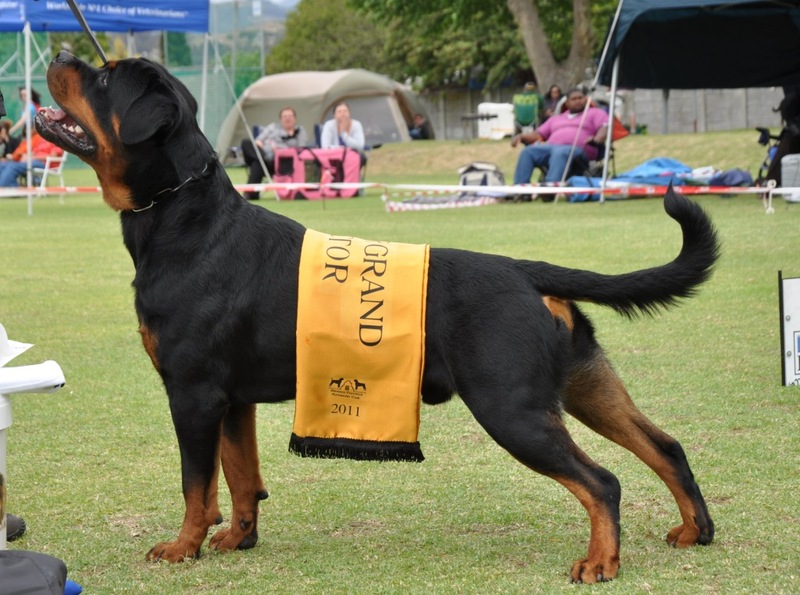 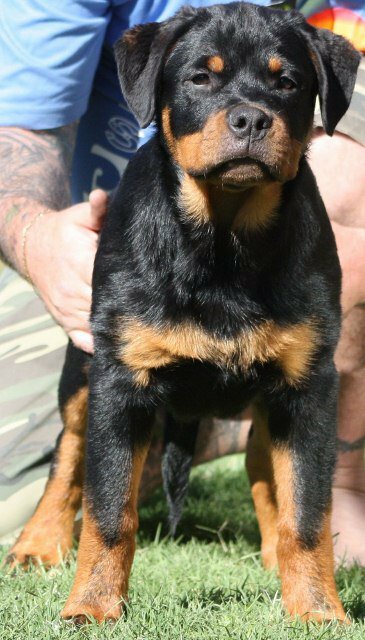 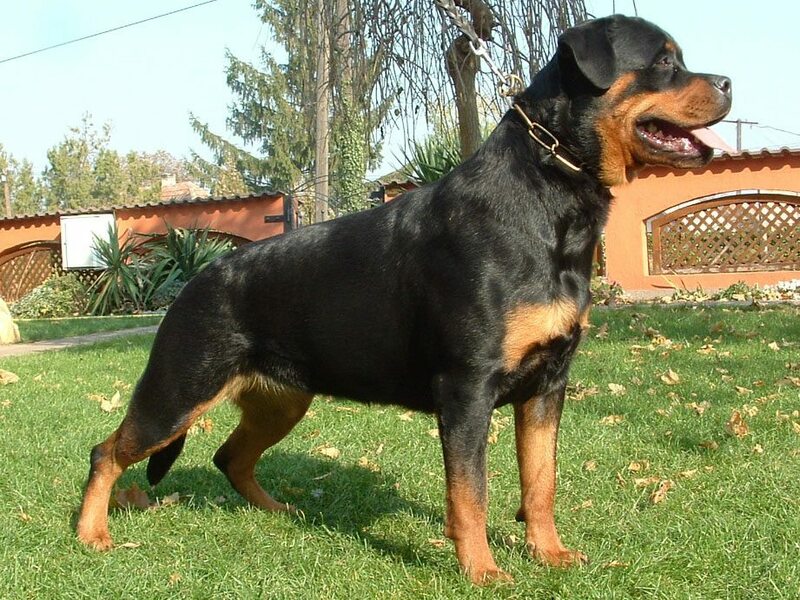 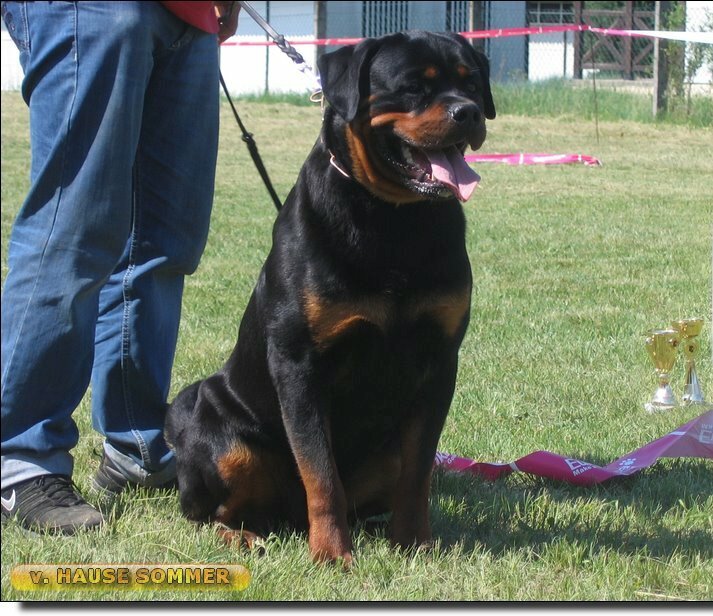 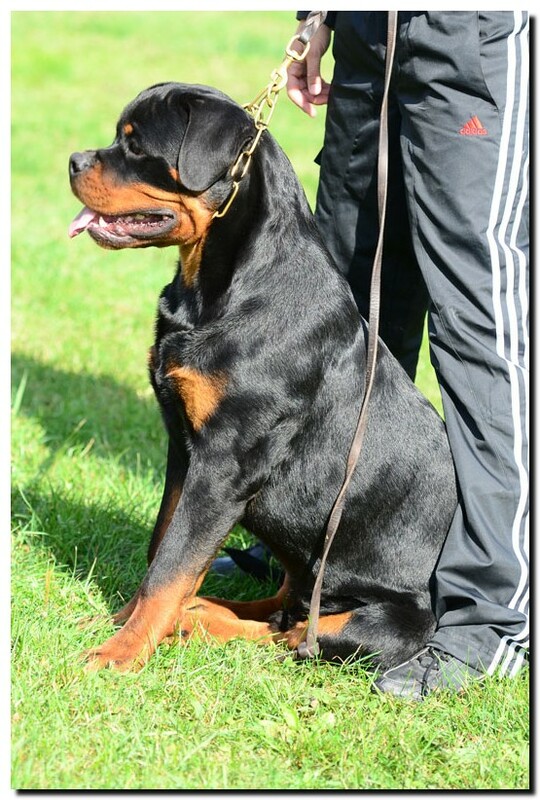 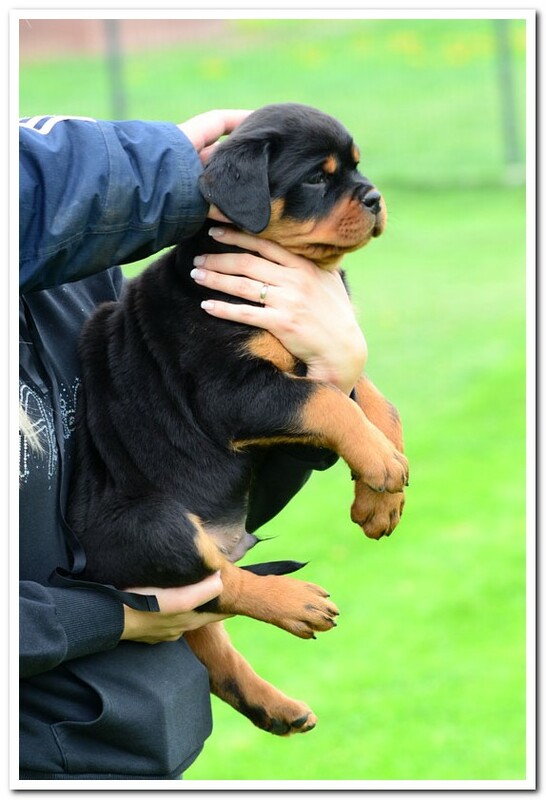 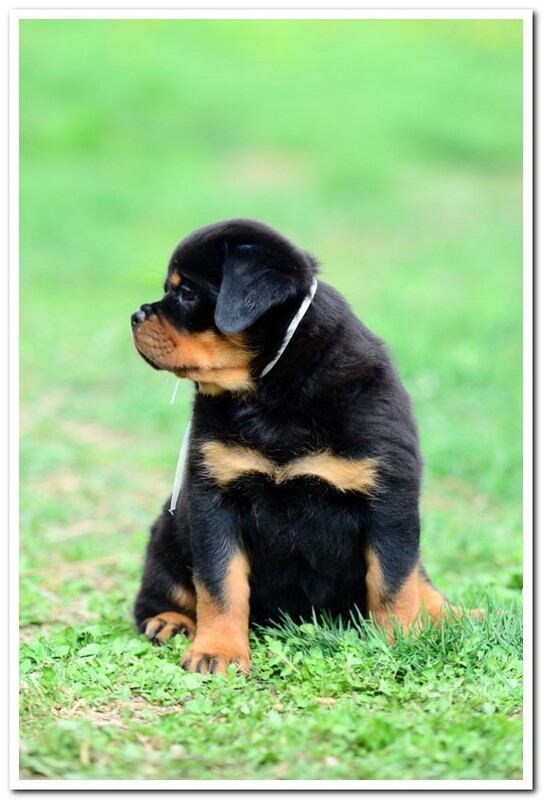 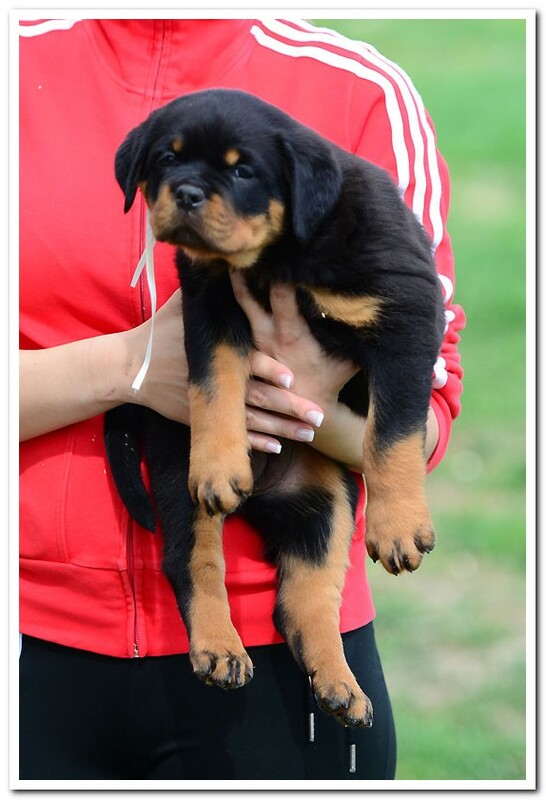 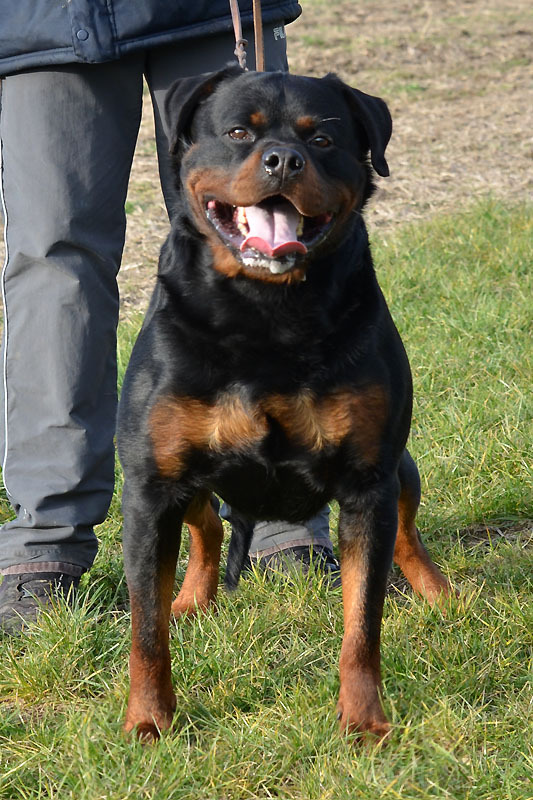 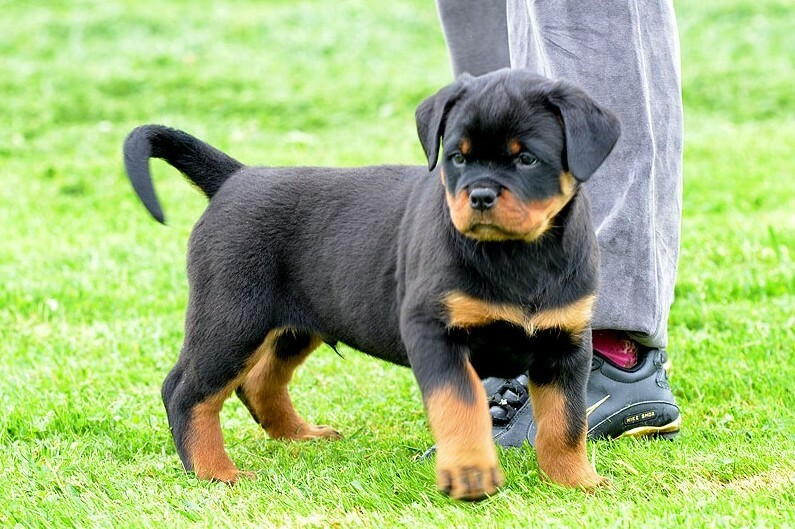 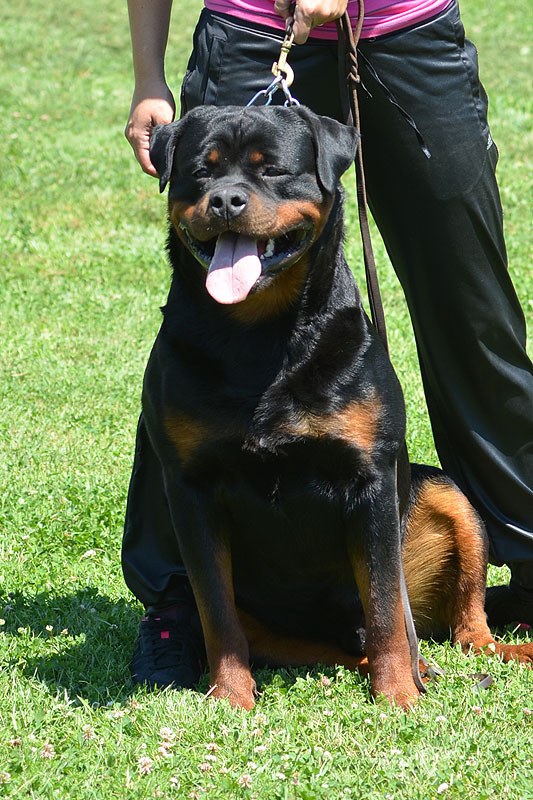 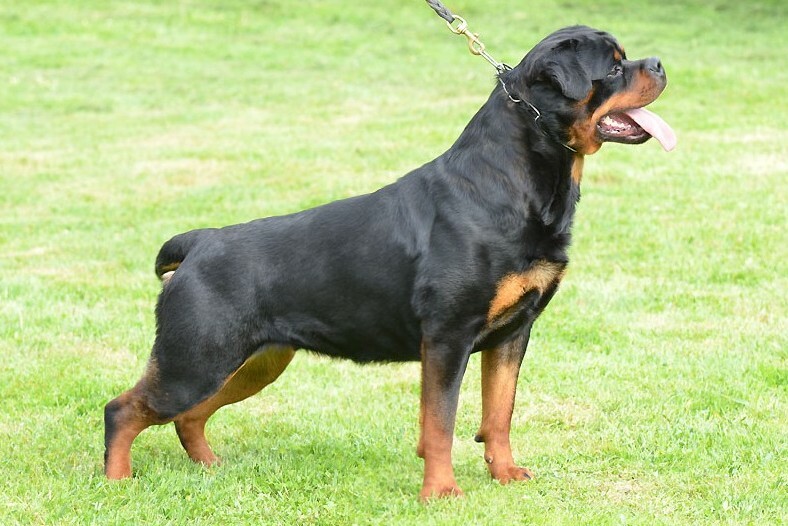 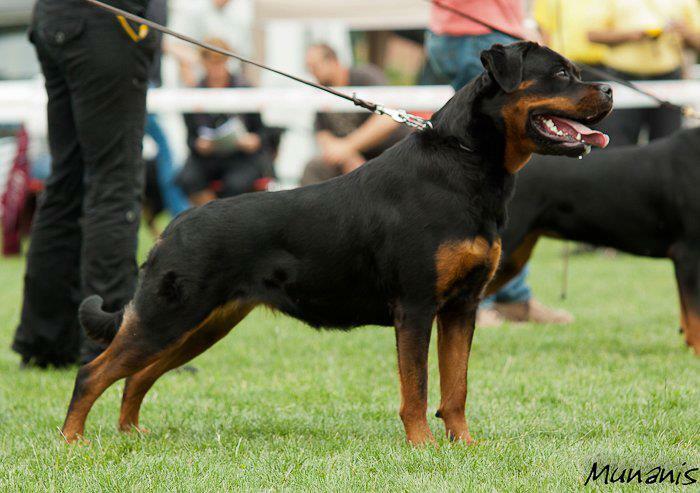 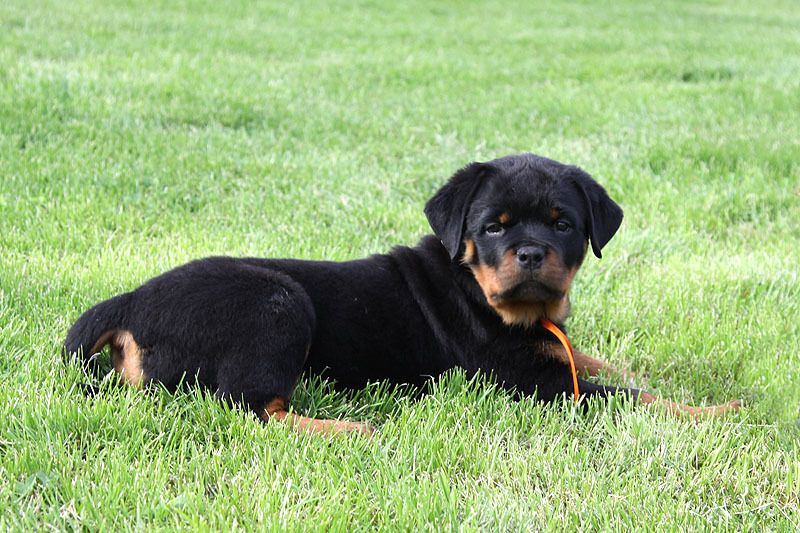 Congratulations to our friend Retha (Craffenheim Rottweilers)! 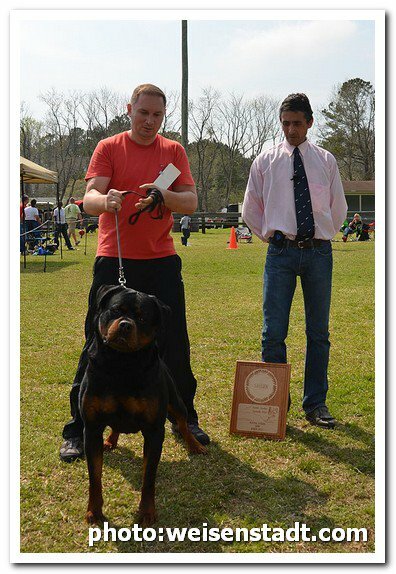 at his first show, between 15 puppies in the (6-9) class. 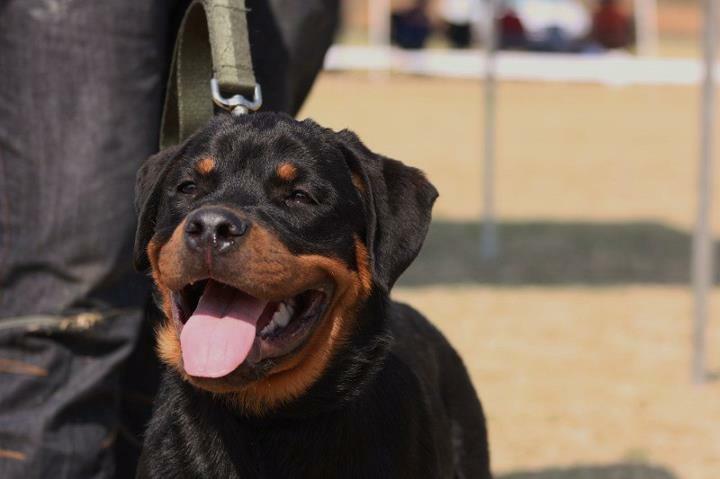 6 months and 2 days old! 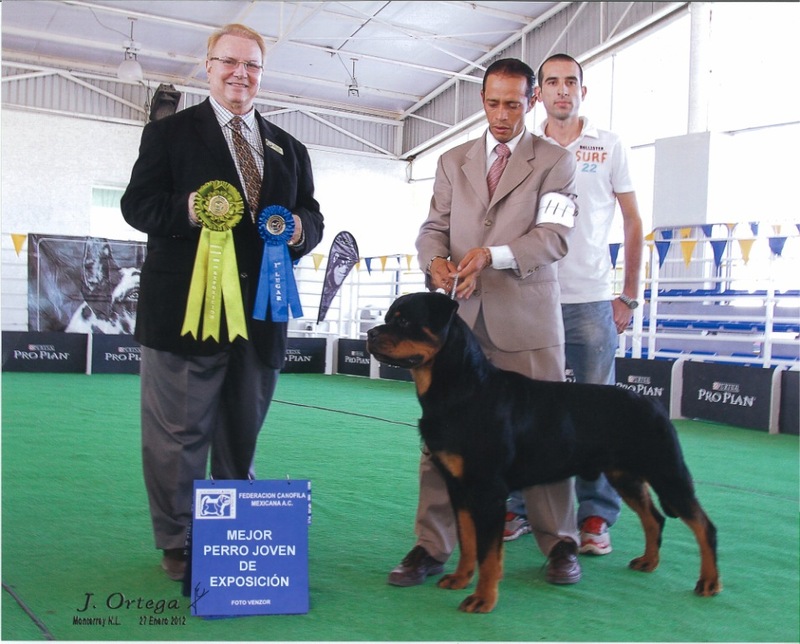 ASTOR'S OFFSPRINGS ARE WINNING ALL AROUND THE WORLD!!! 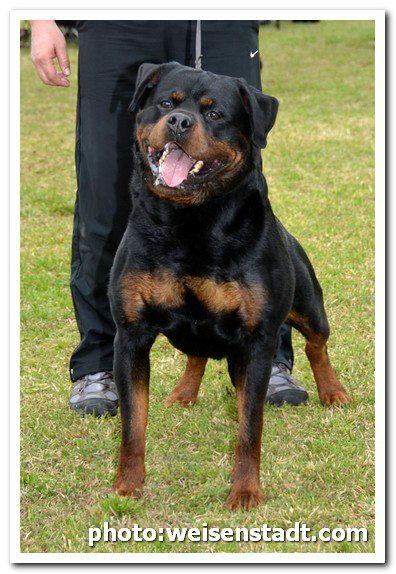 We have high hopes for this boy! 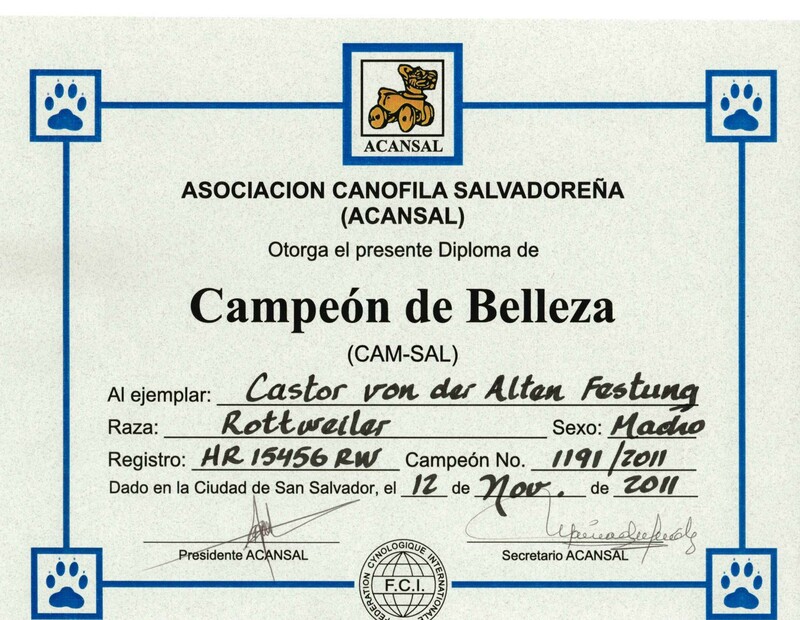 Congratulations to our friends Daniel (co-owner of Bella) and Zoltan (owner of Josy)! 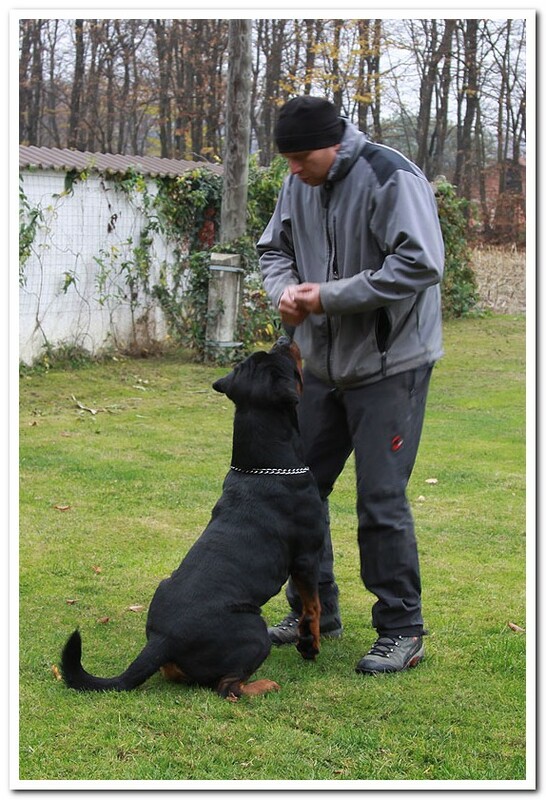 and Woody (Haus der Sterne)! 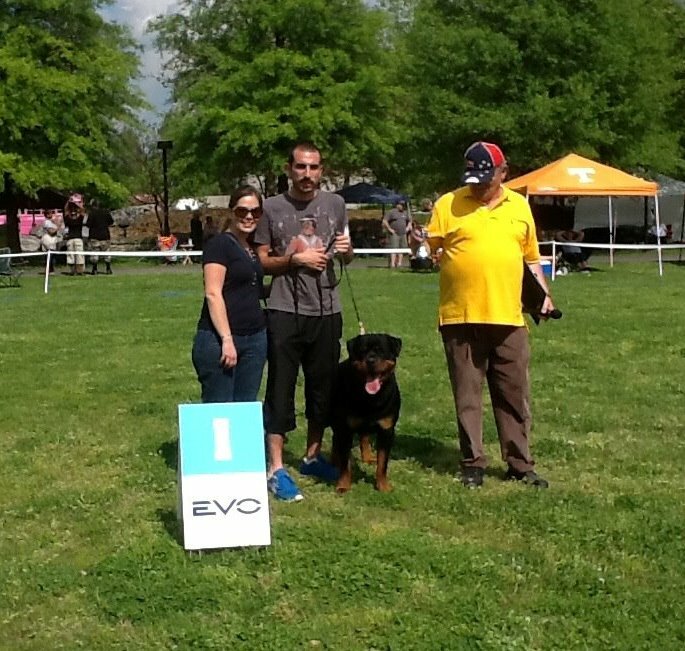 Congratulations to our friend Daniel! 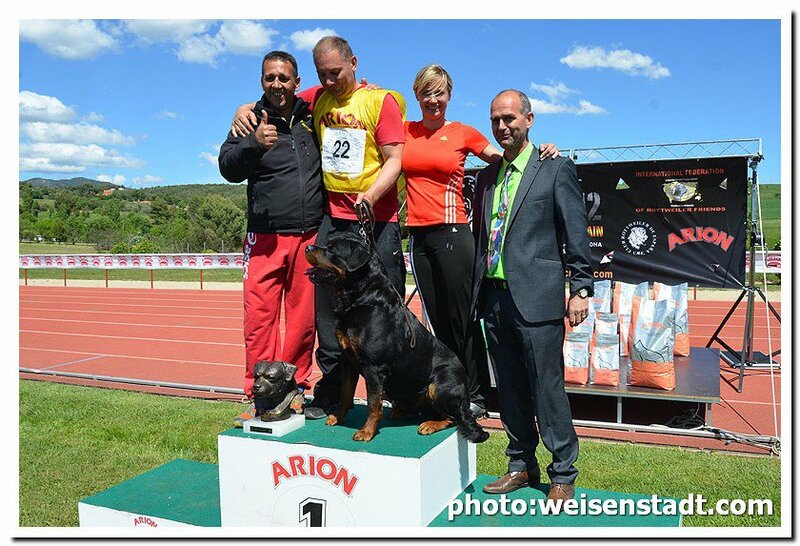 Thanks to Sasa (Weisenstadt), Mario (Munanis) and Franck Haymann for beautiful photos! 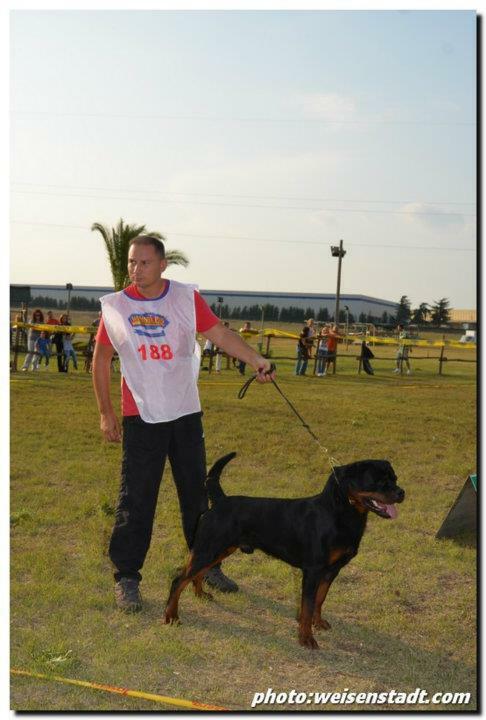 Thanks to our friend Nikola for nice photo! 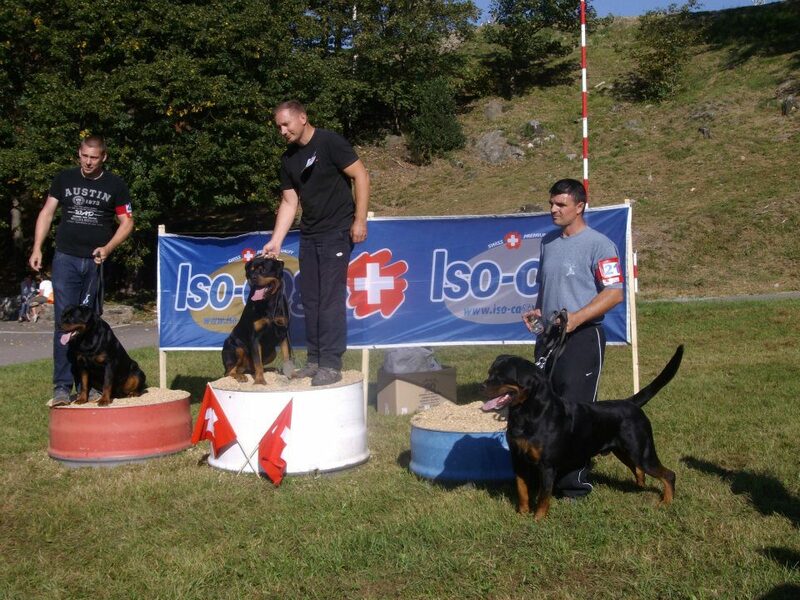 Thanks to our friend Alessandro (vom Schwarz Schloss) for nice photo! 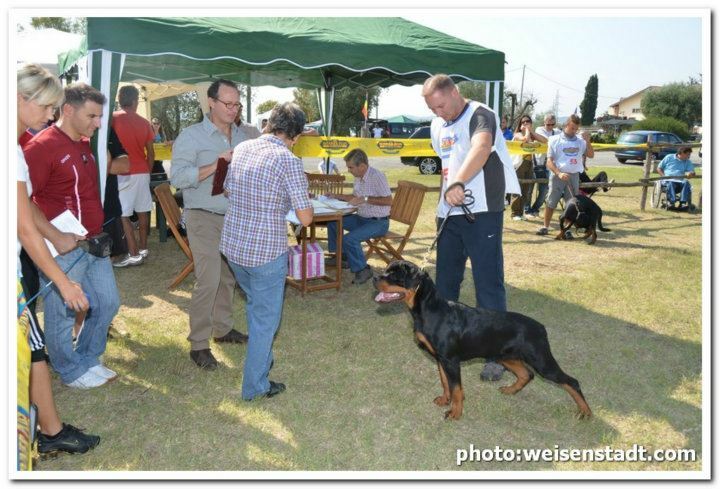 Thanks to our friend Woody (Haus der Sterne, SA) for nice photos!